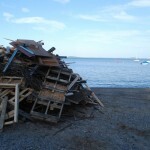 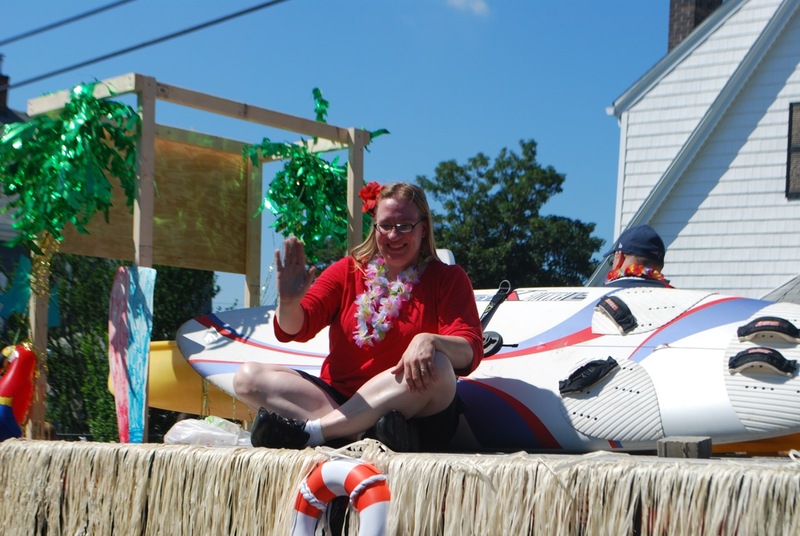 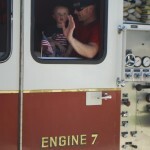 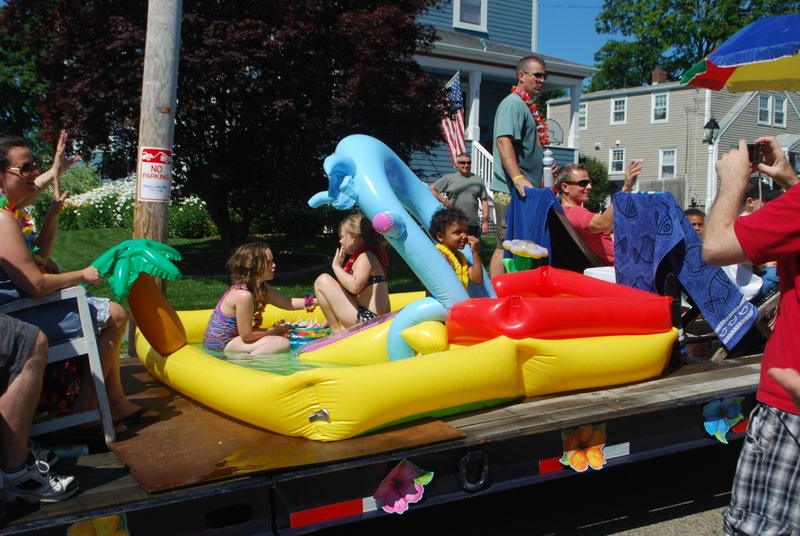 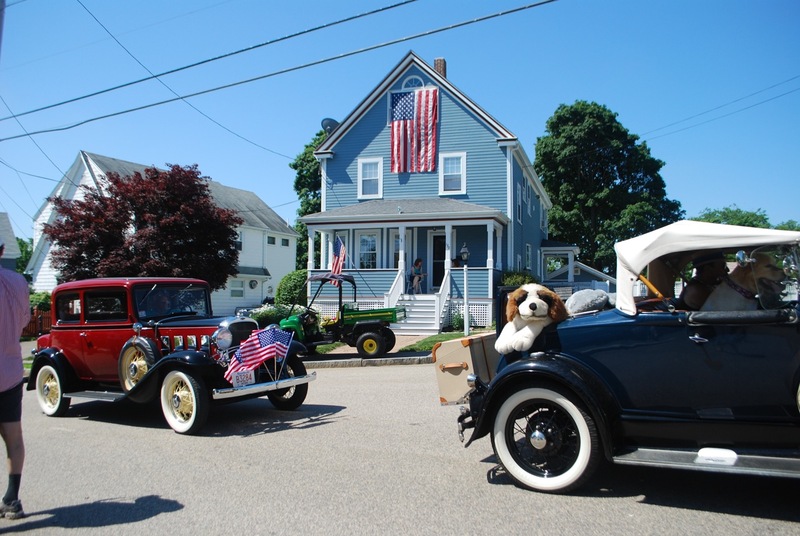 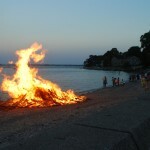 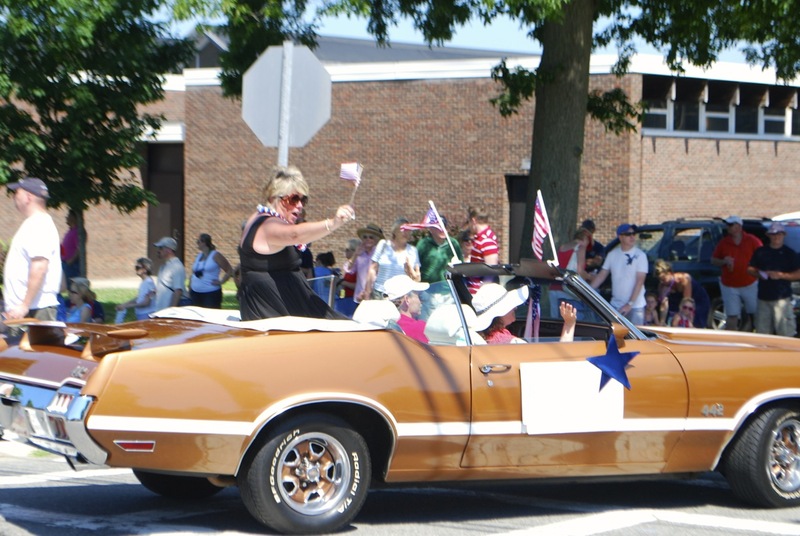 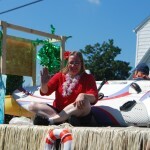 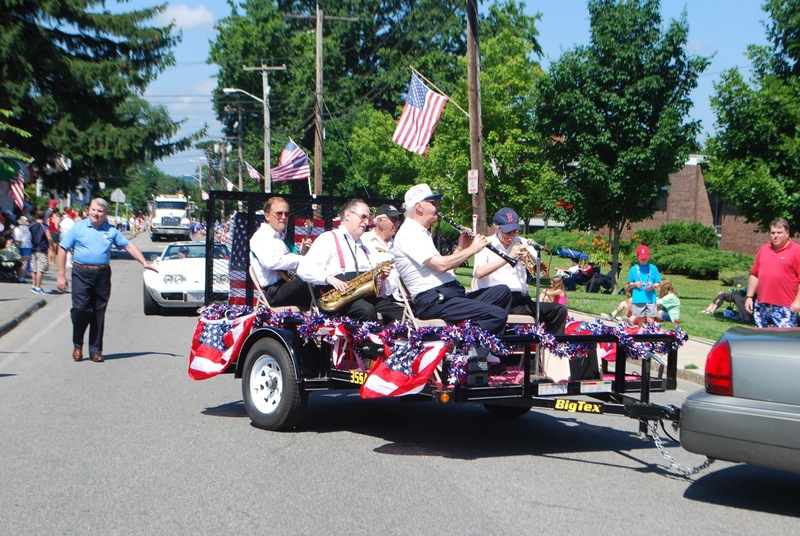 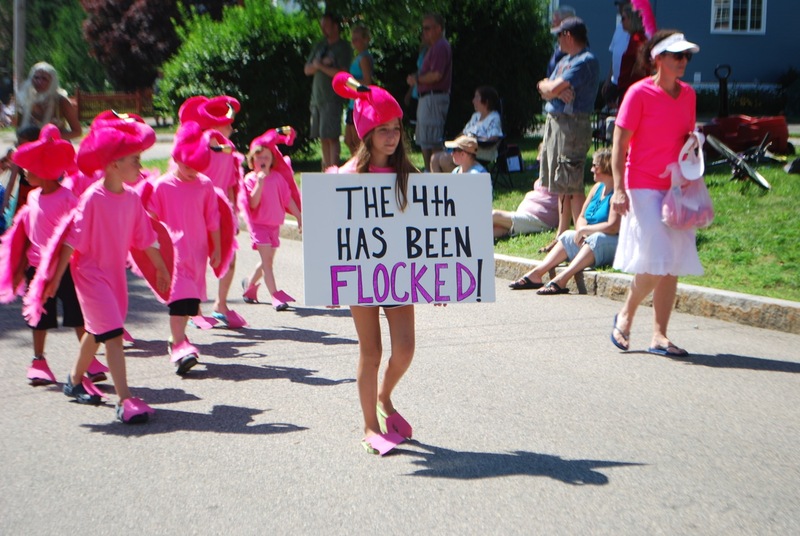 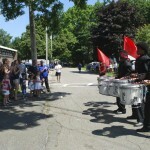 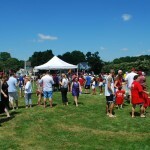 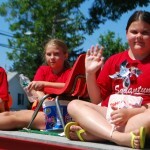 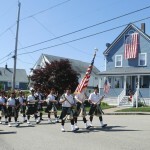 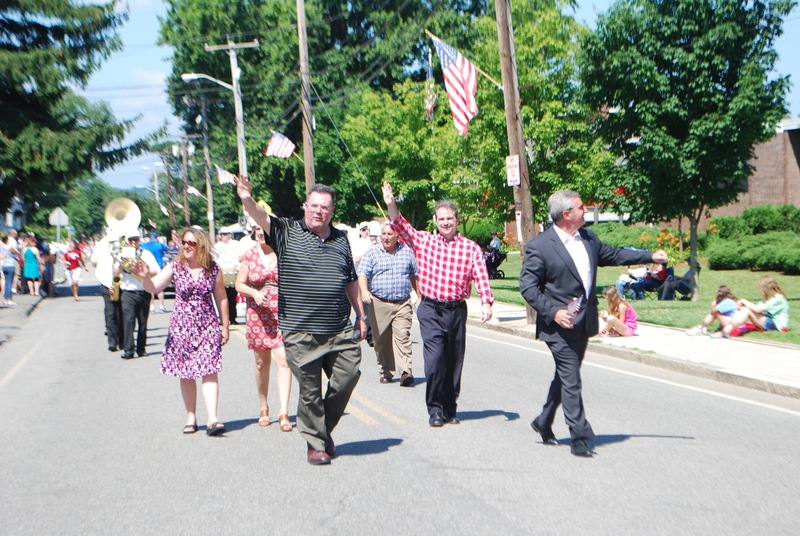 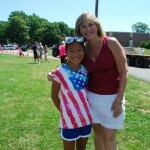 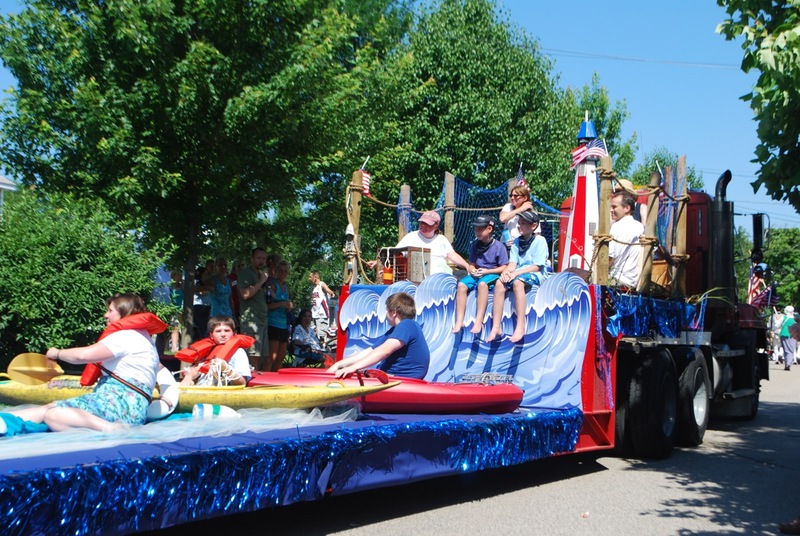 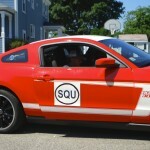 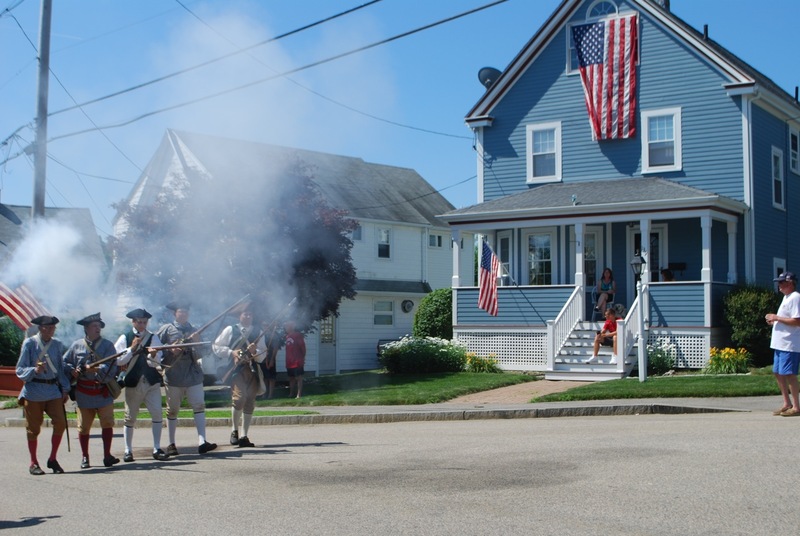 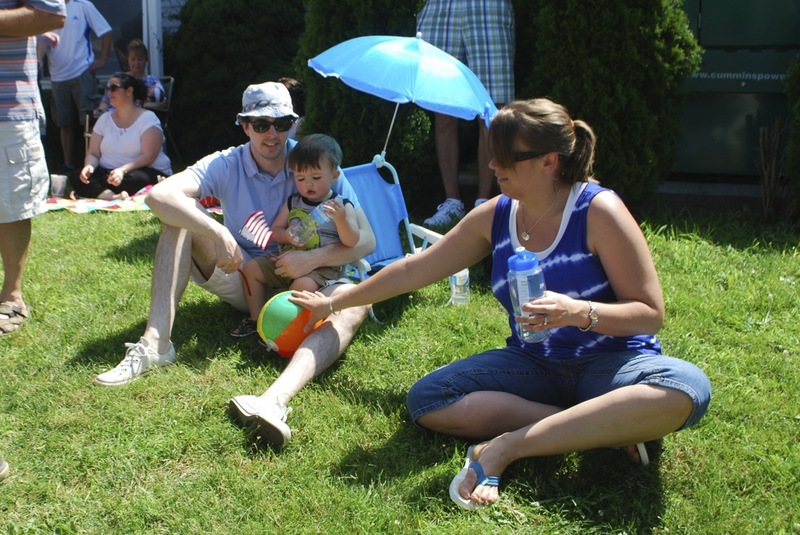 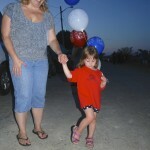 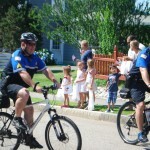 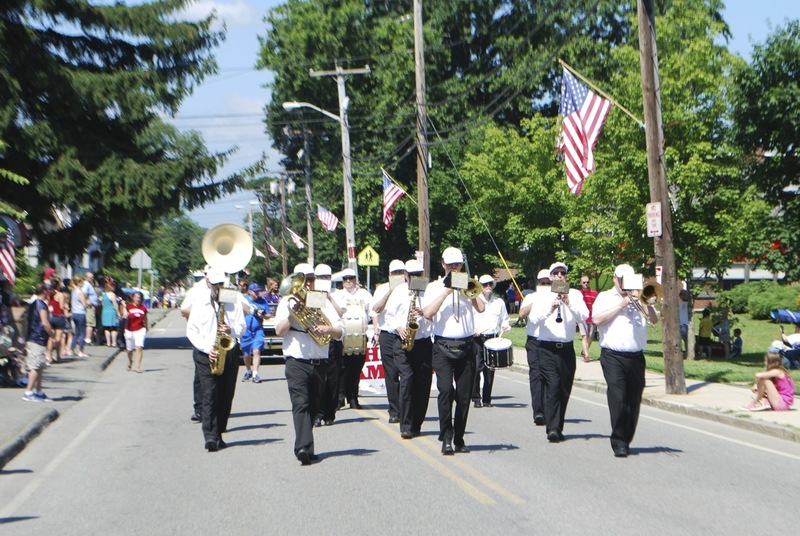 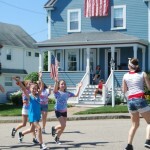 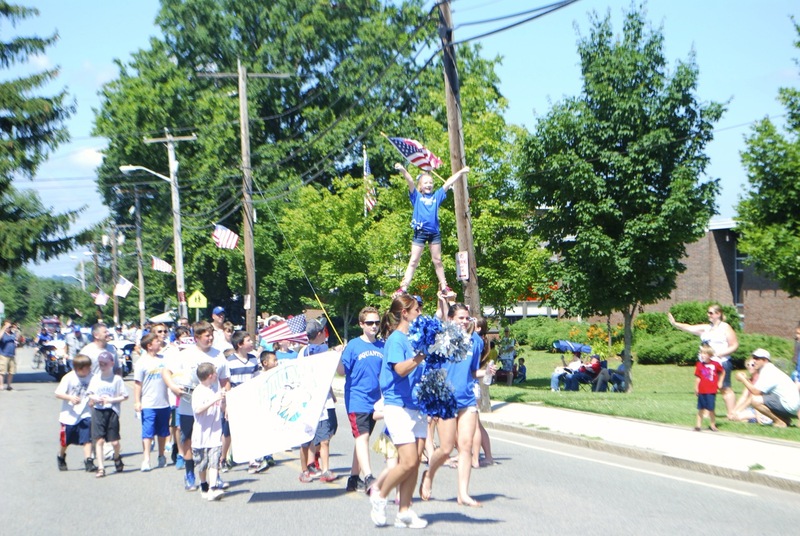 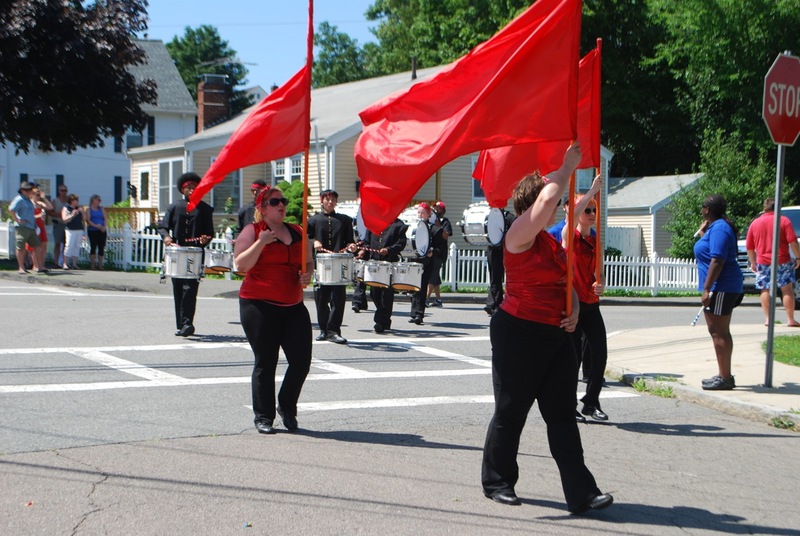 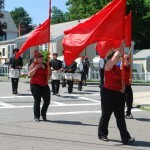 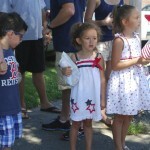 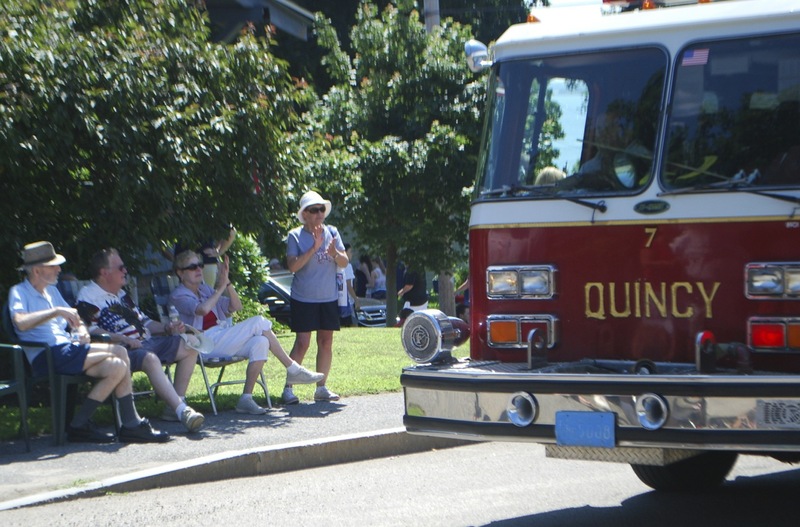 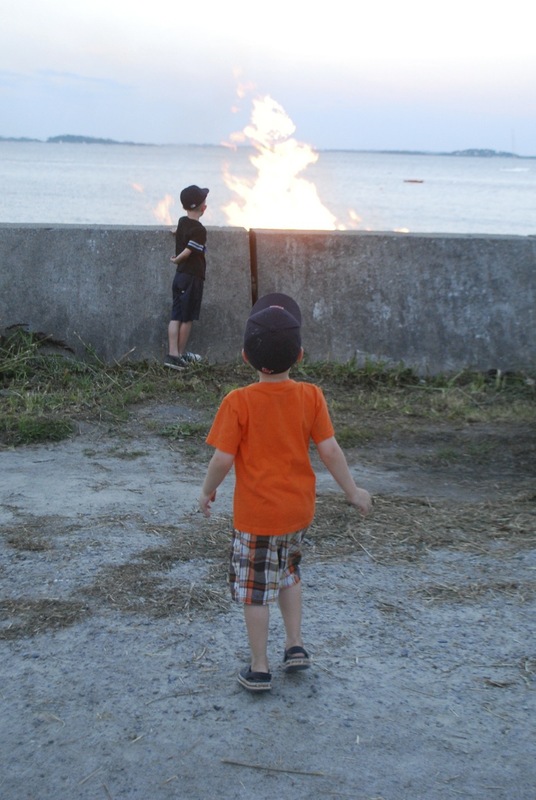 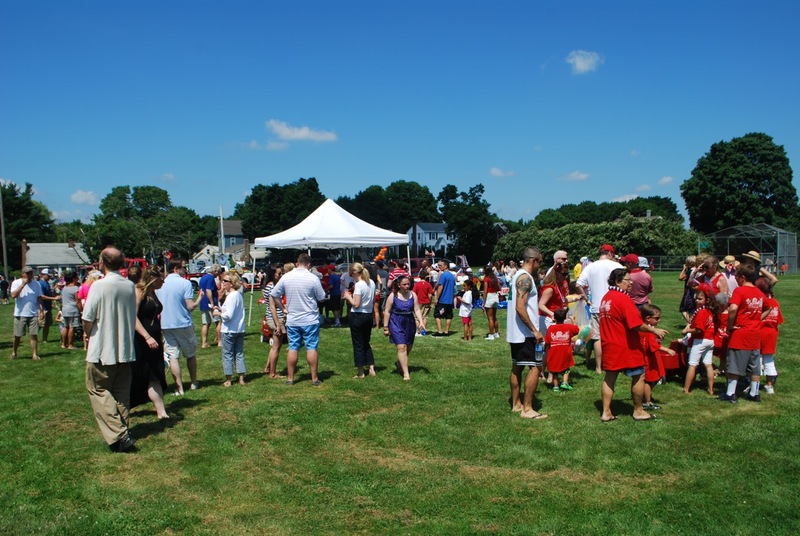 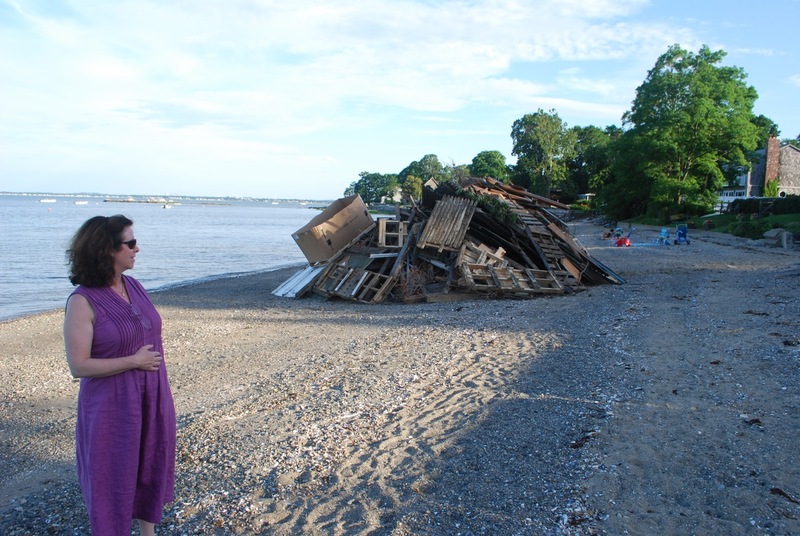 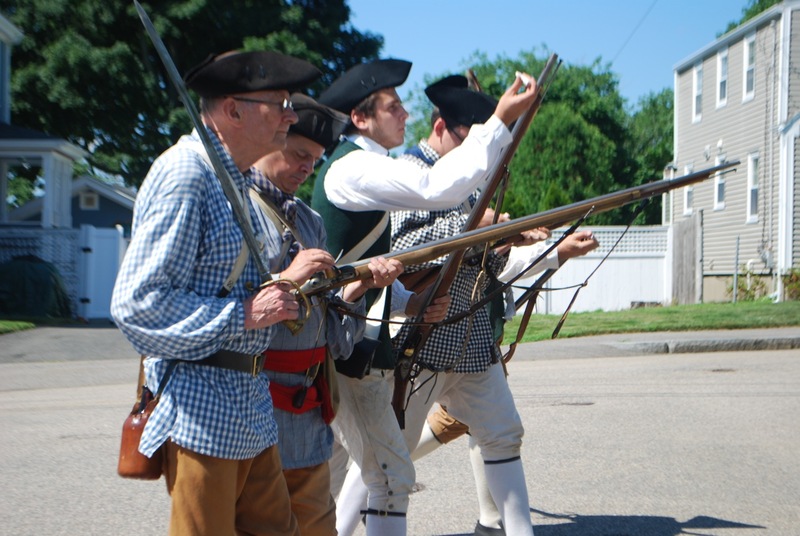 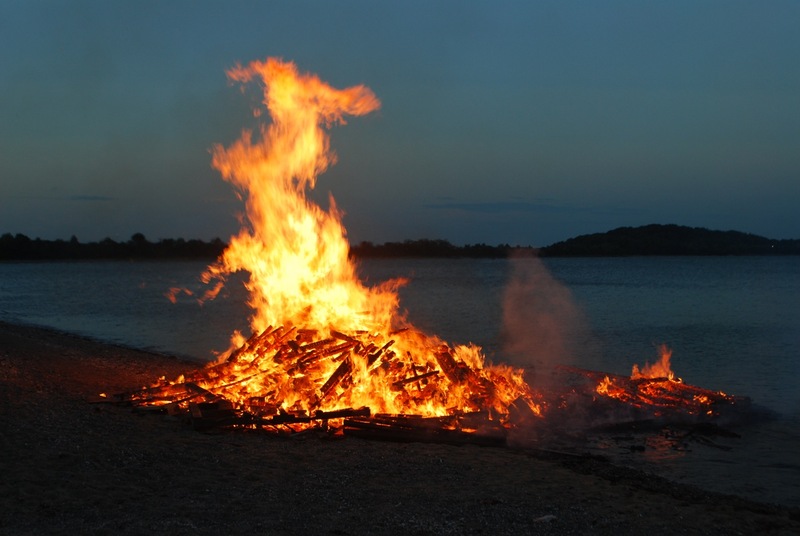 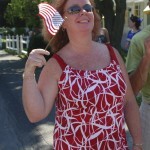 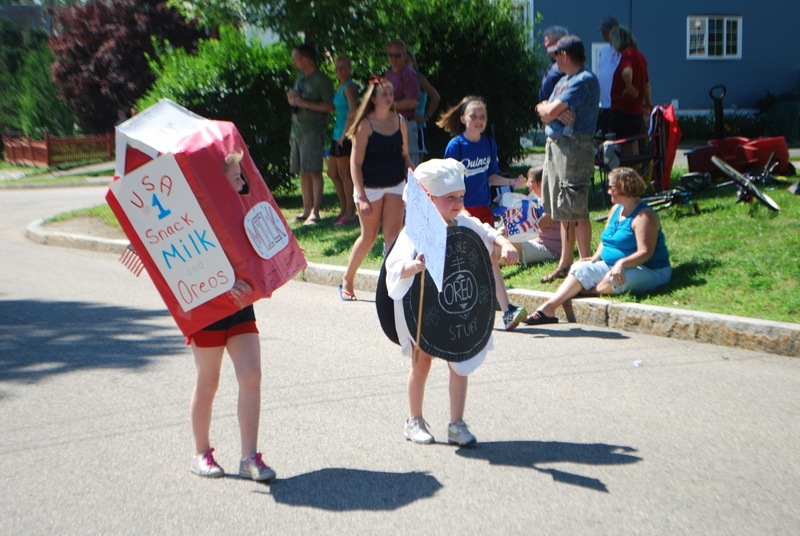 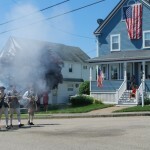 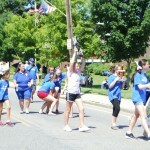 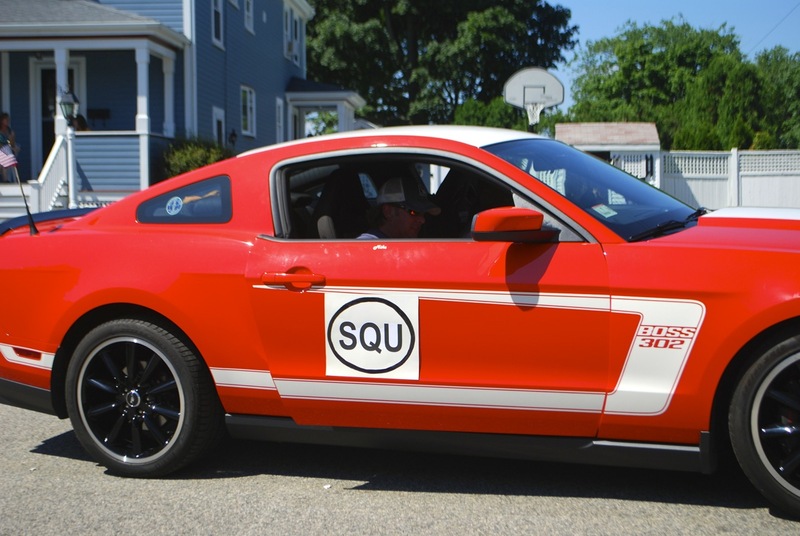 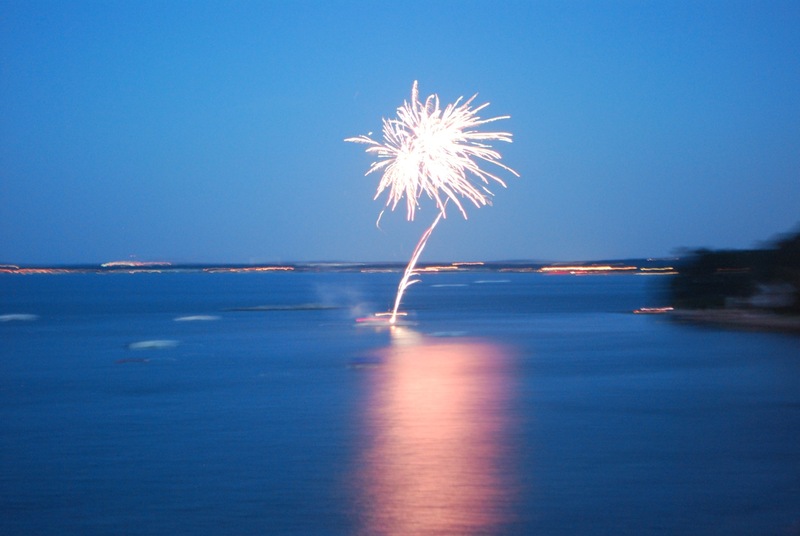 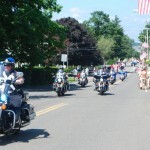 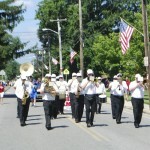 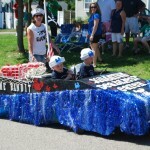 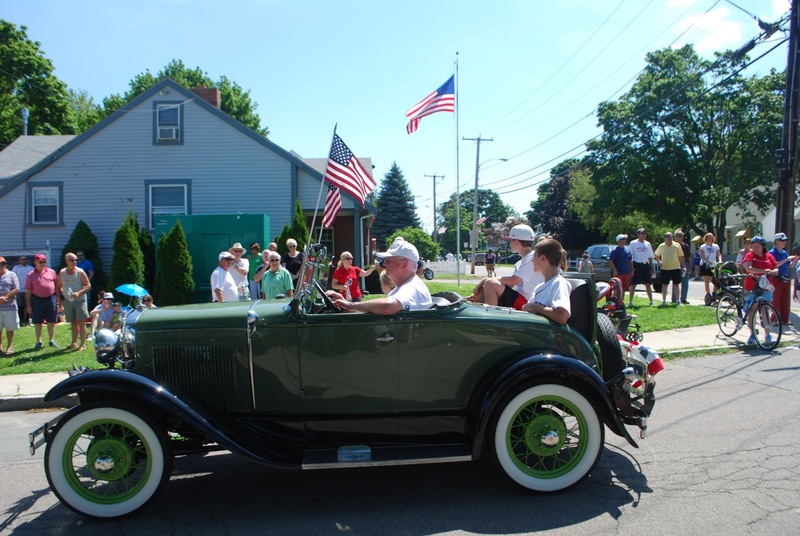 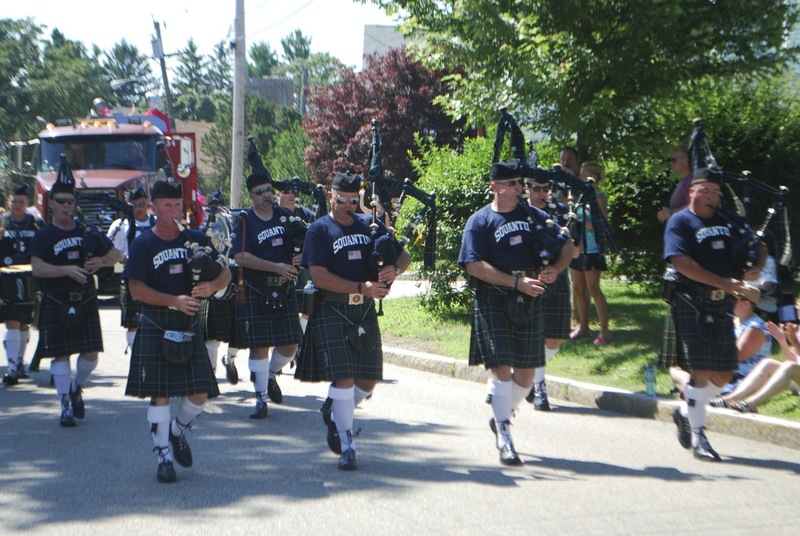 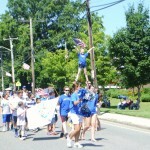 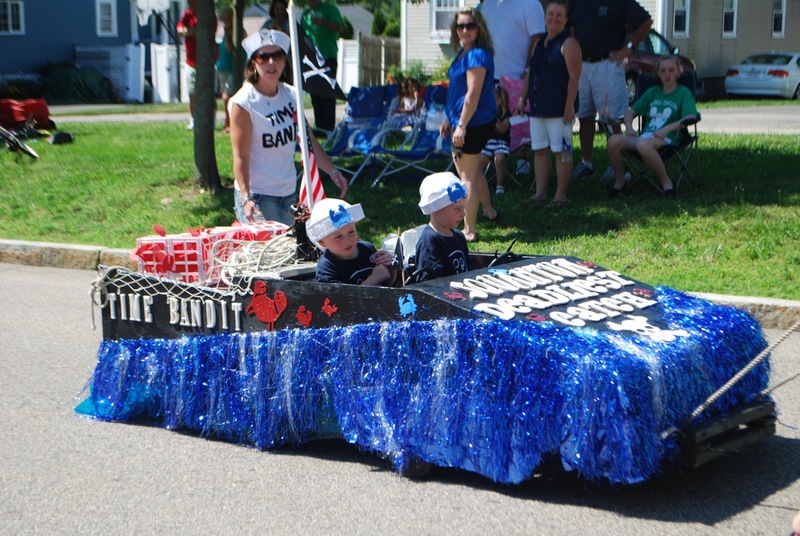 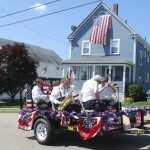 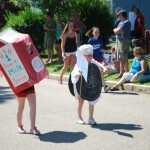 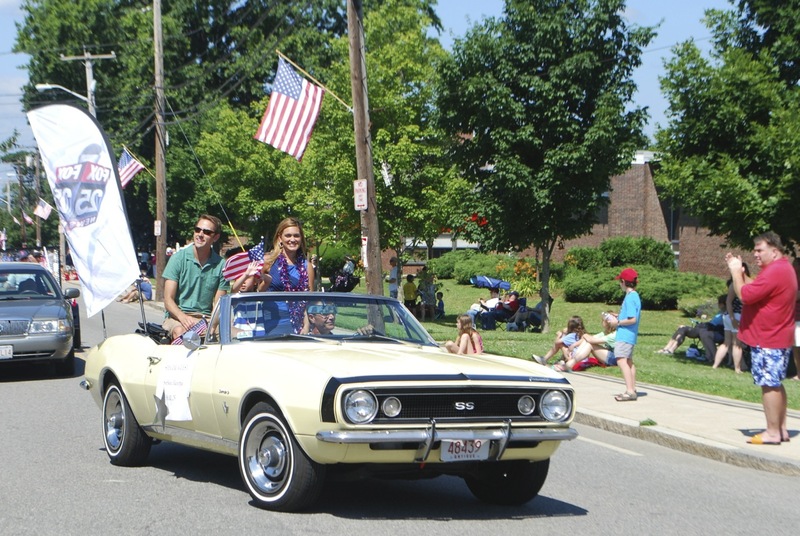 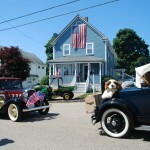 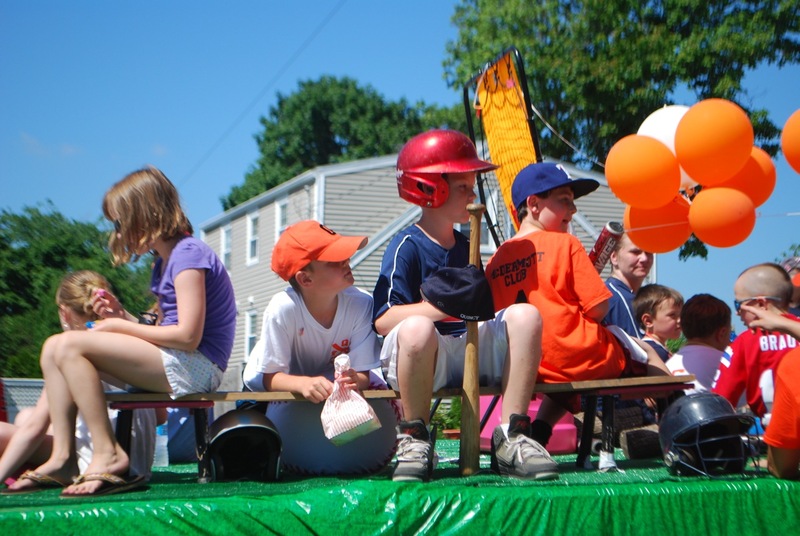 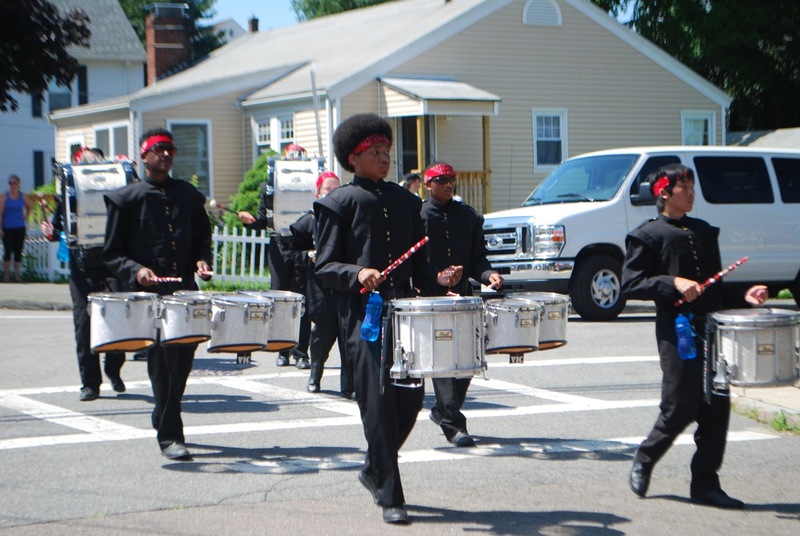 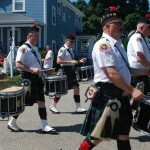 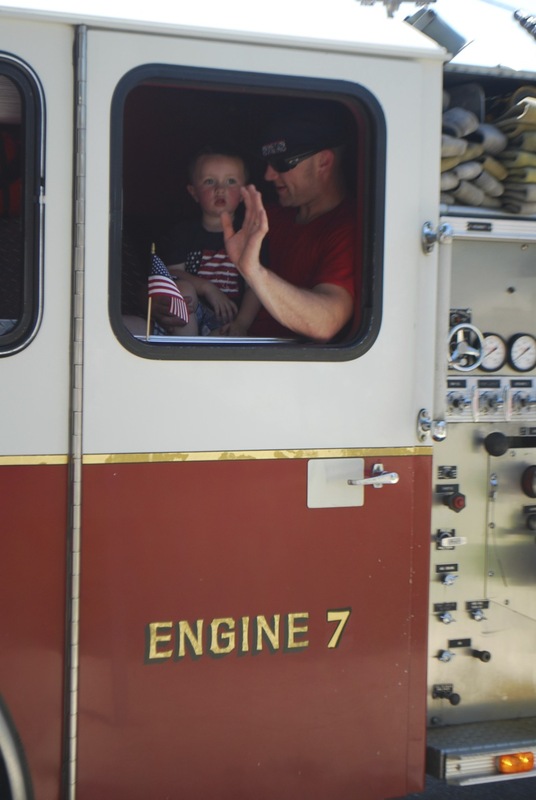 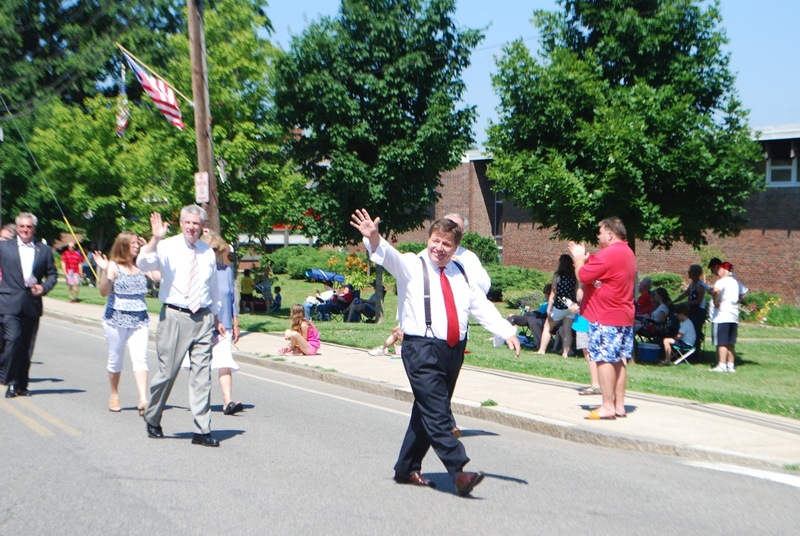 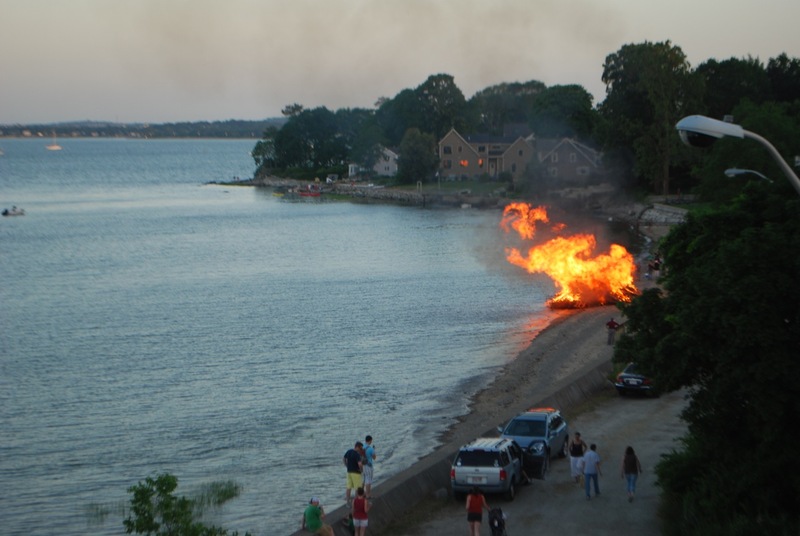 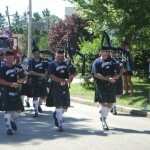 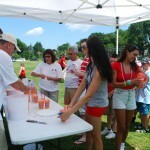 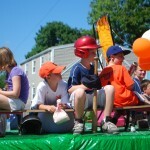 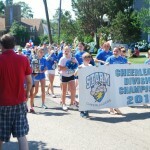 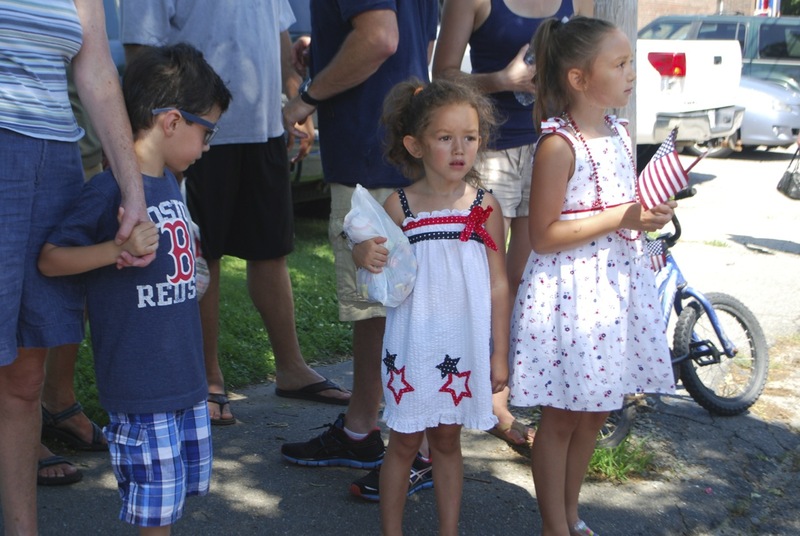 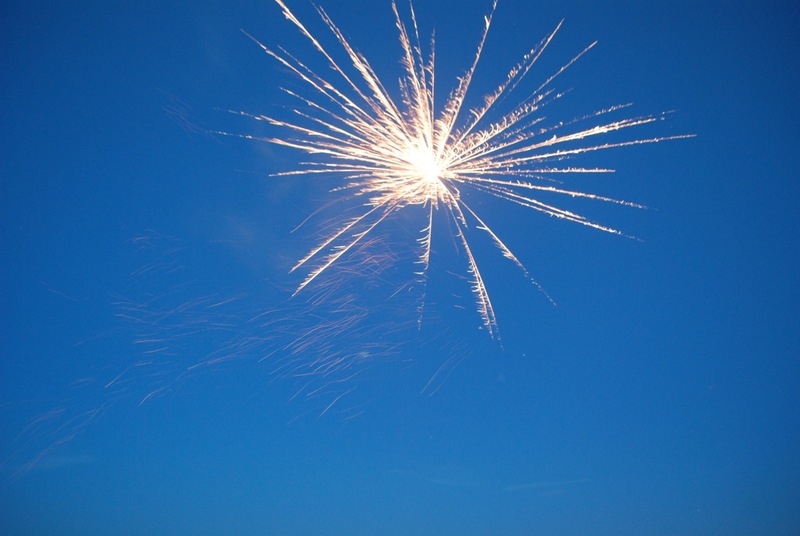 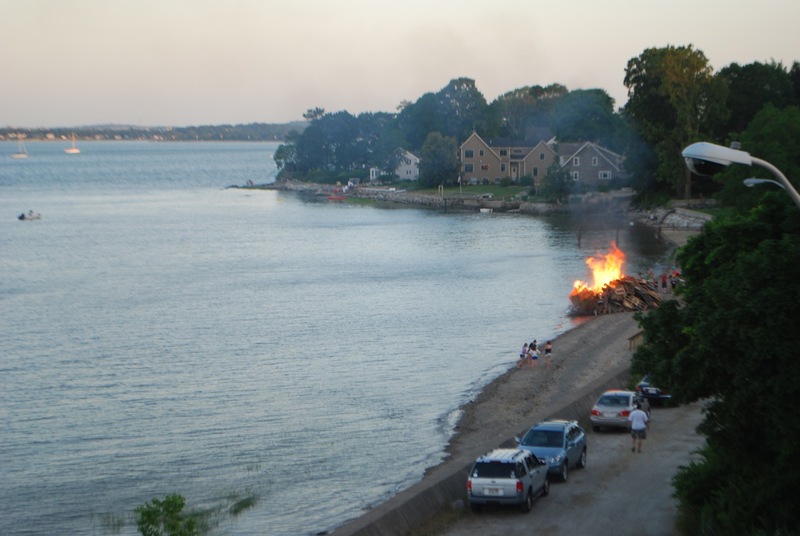 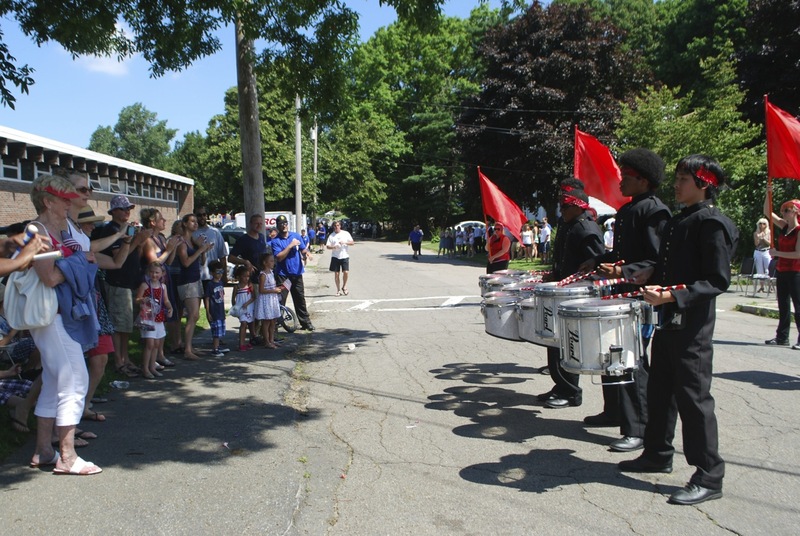 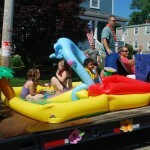 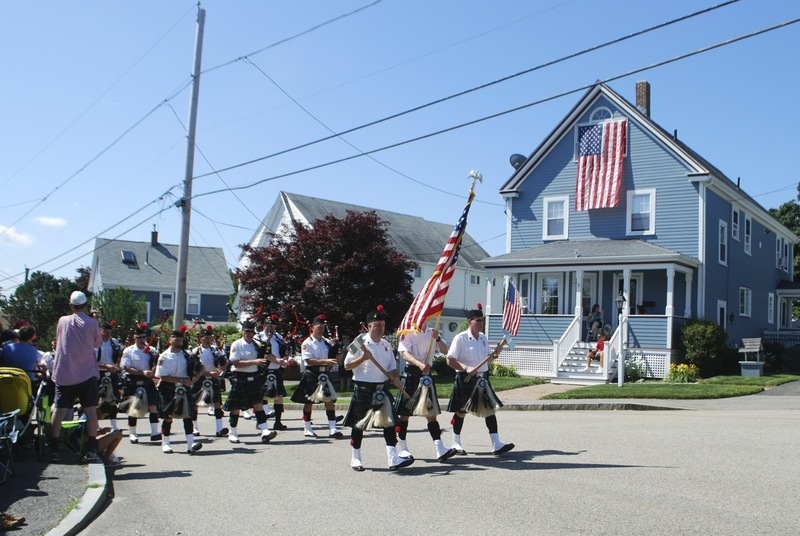 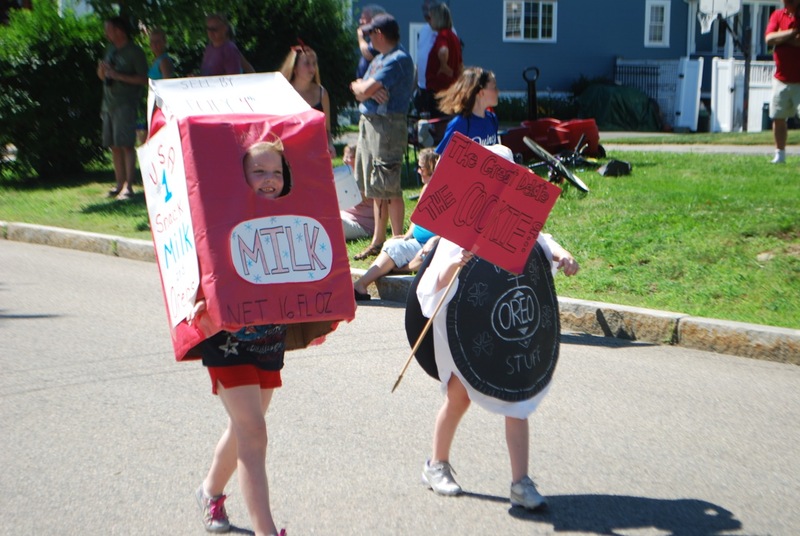 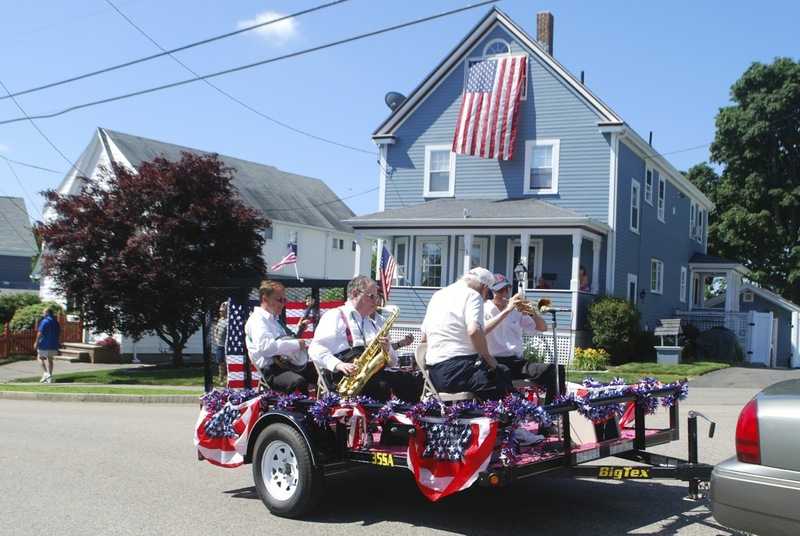 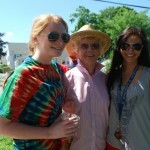 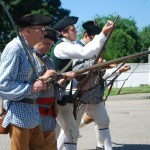 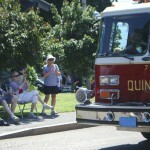 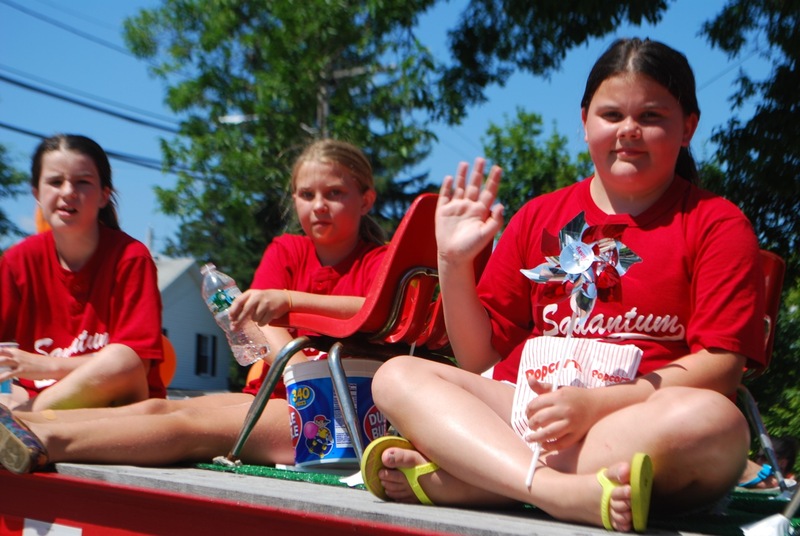 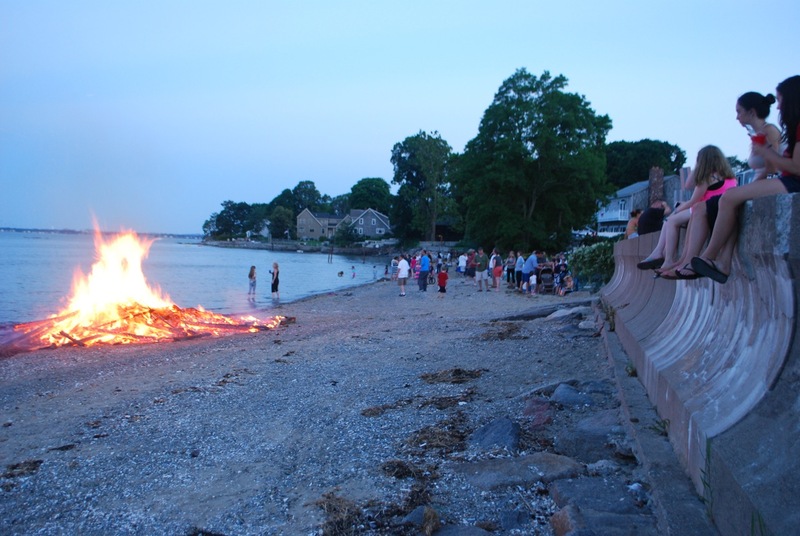 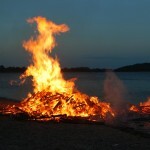 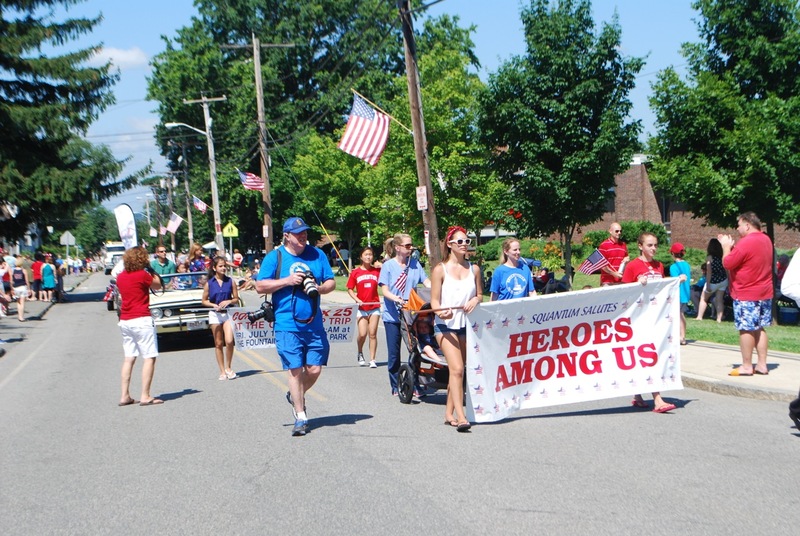 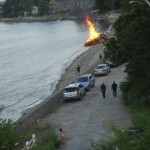 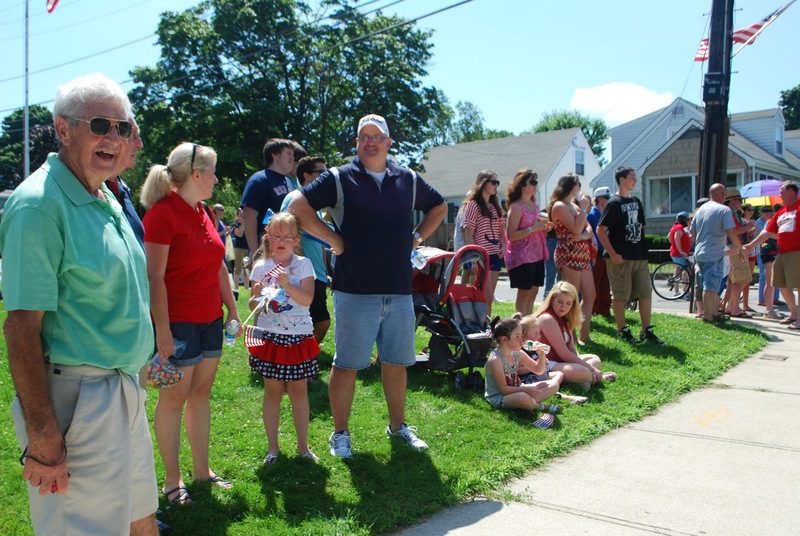 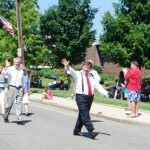 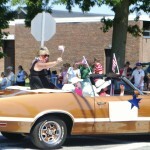 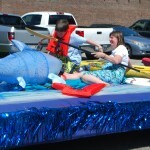 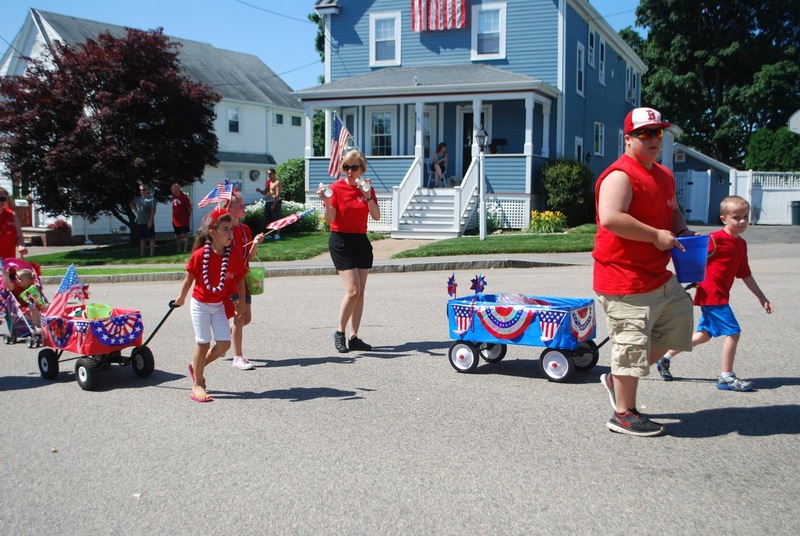 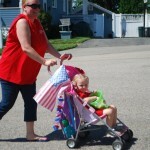 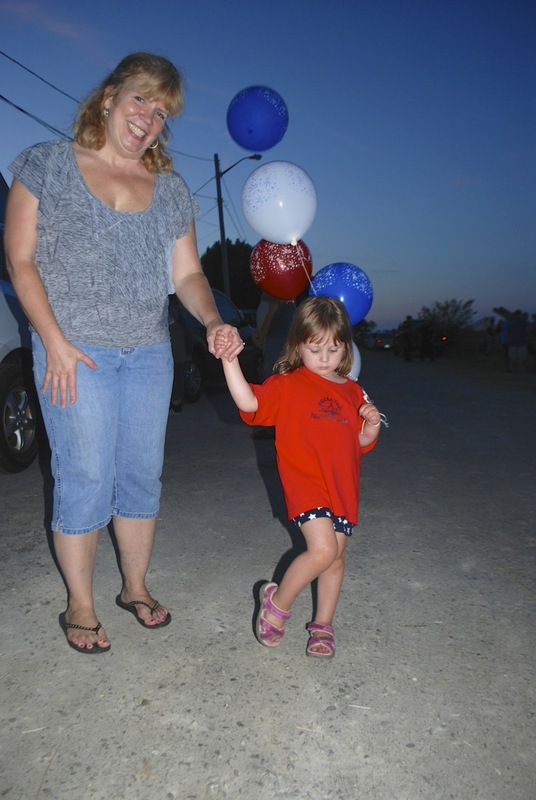 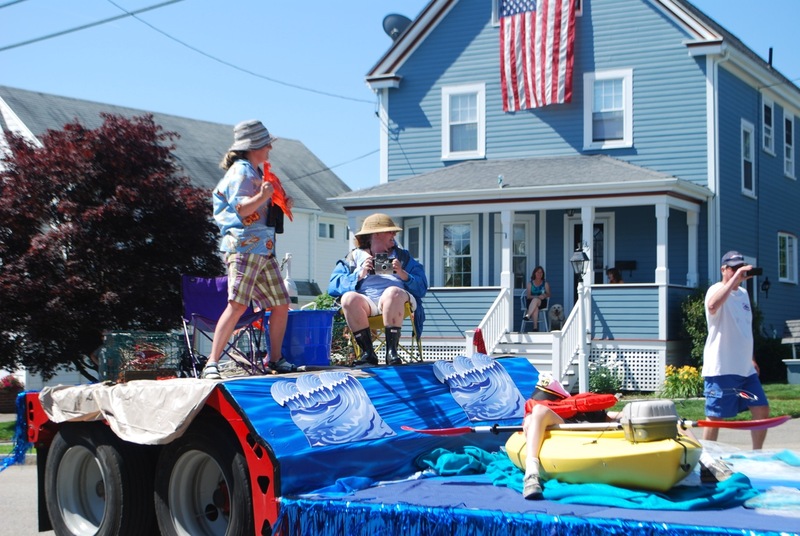 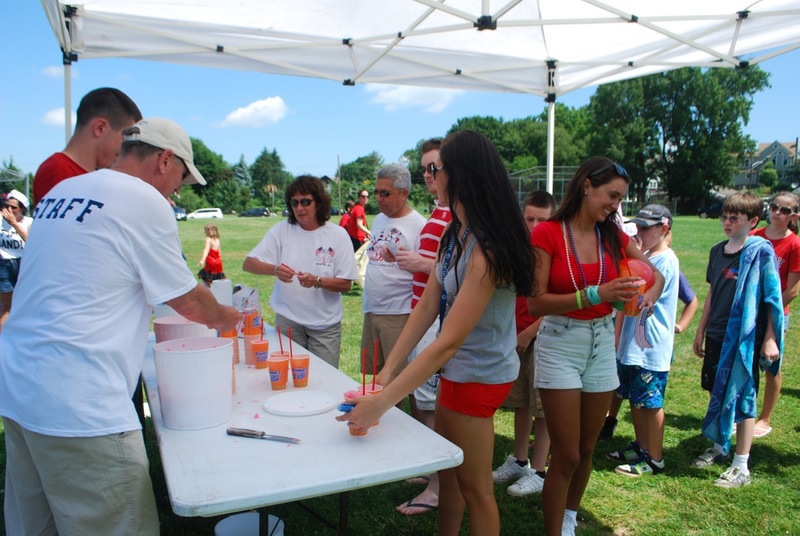 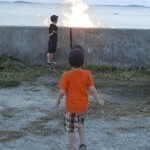 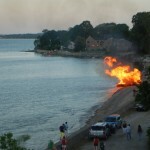 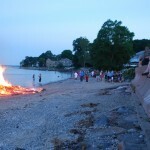 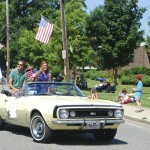 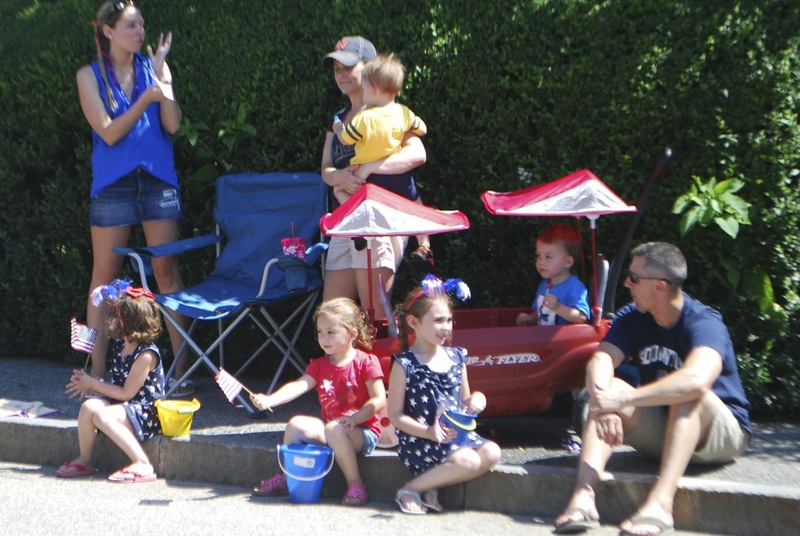 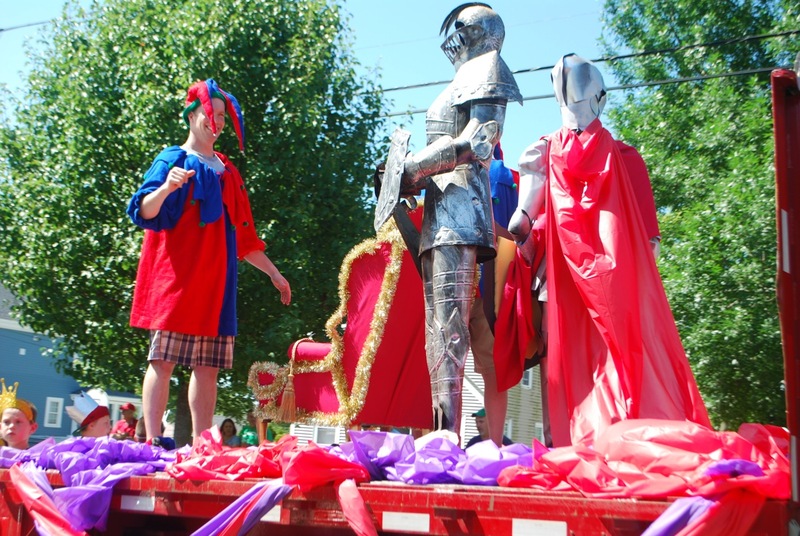 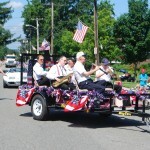 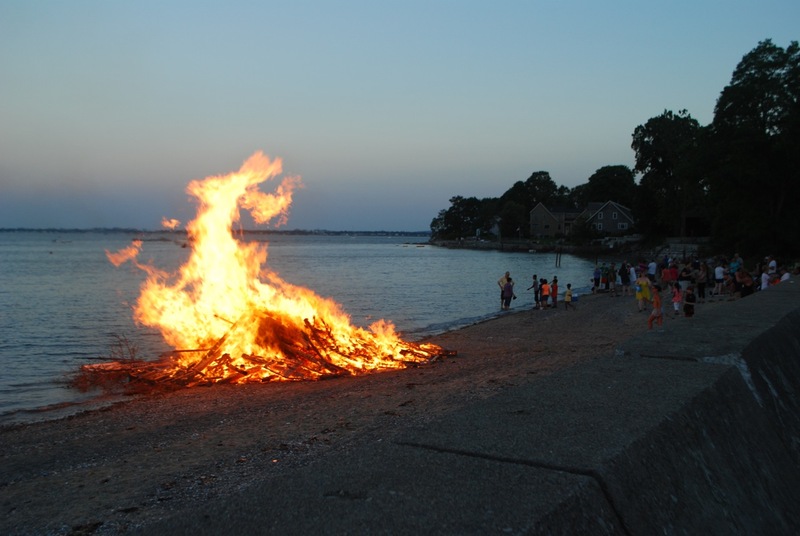 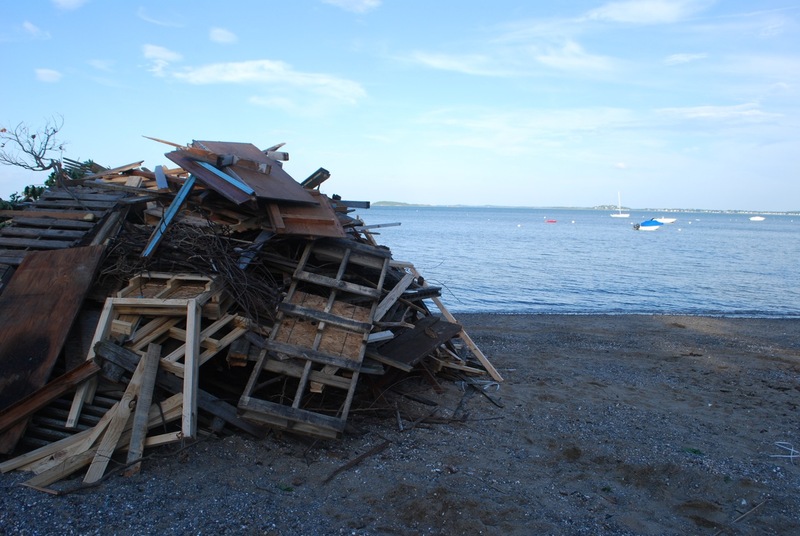 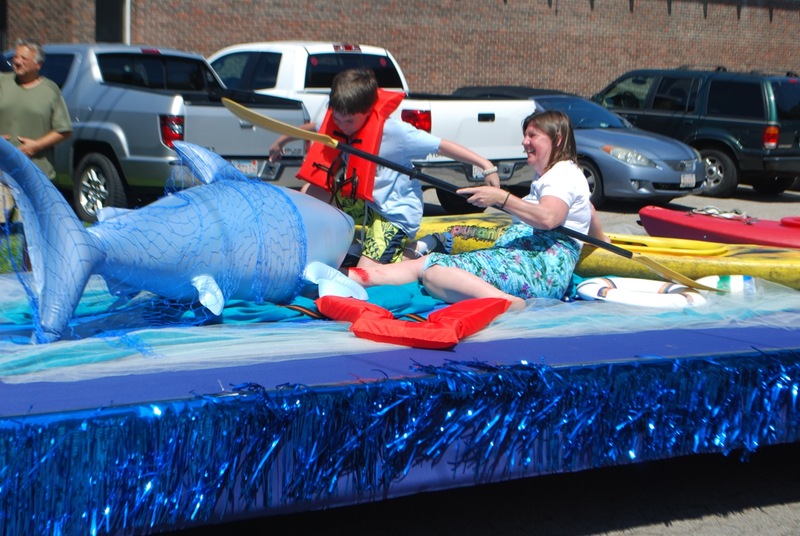 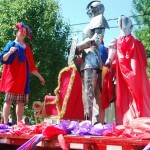 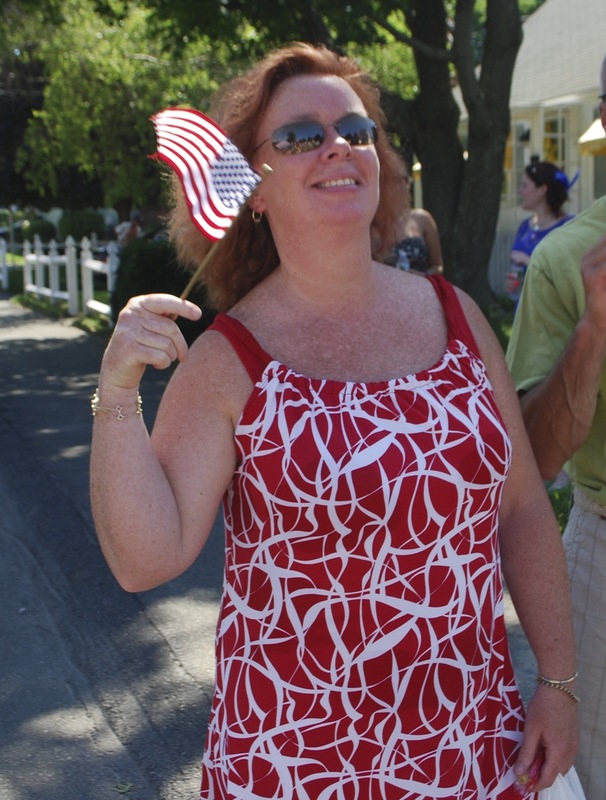 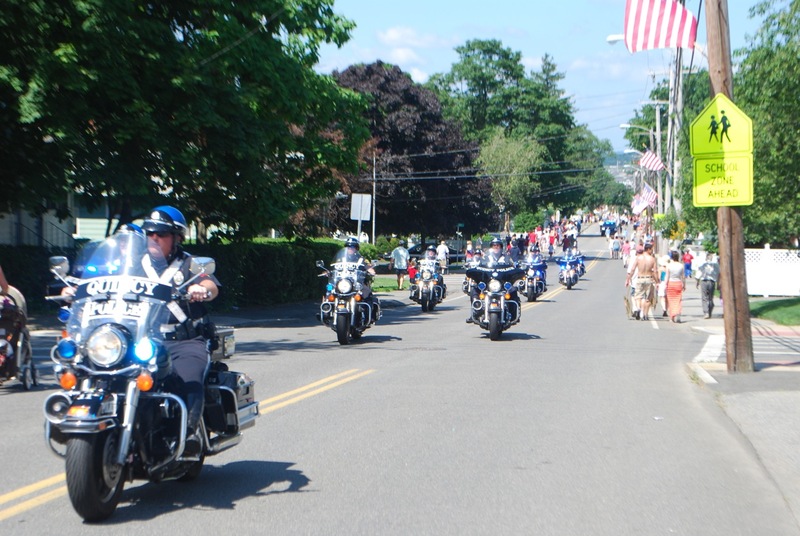 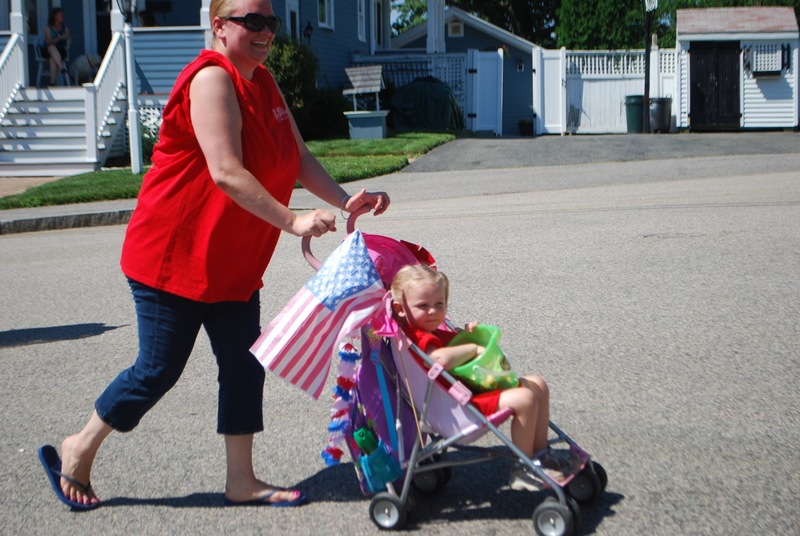 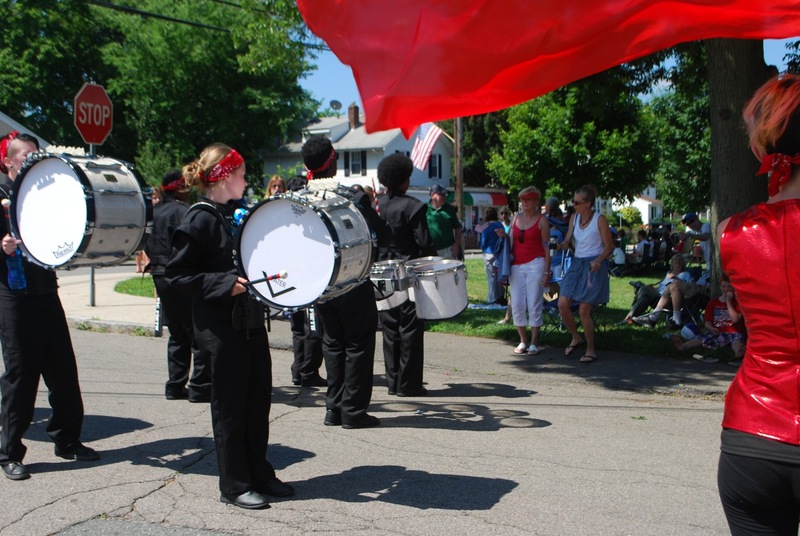 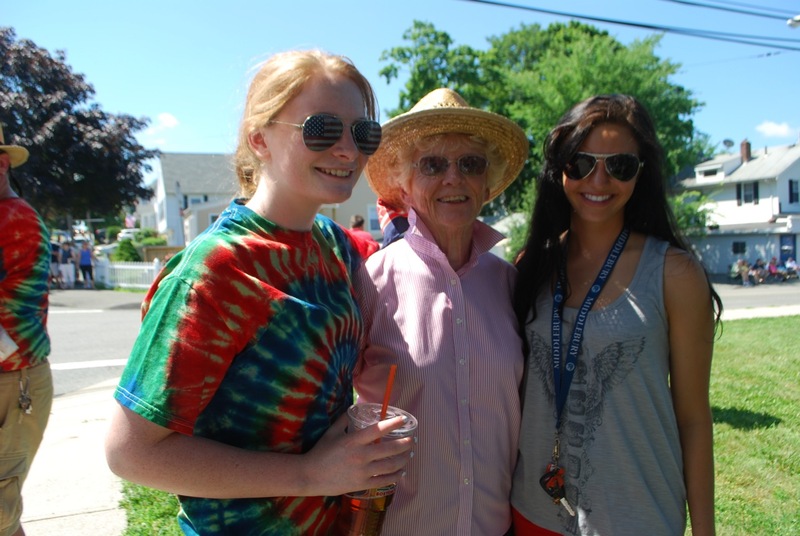 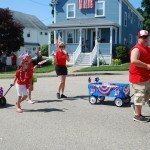 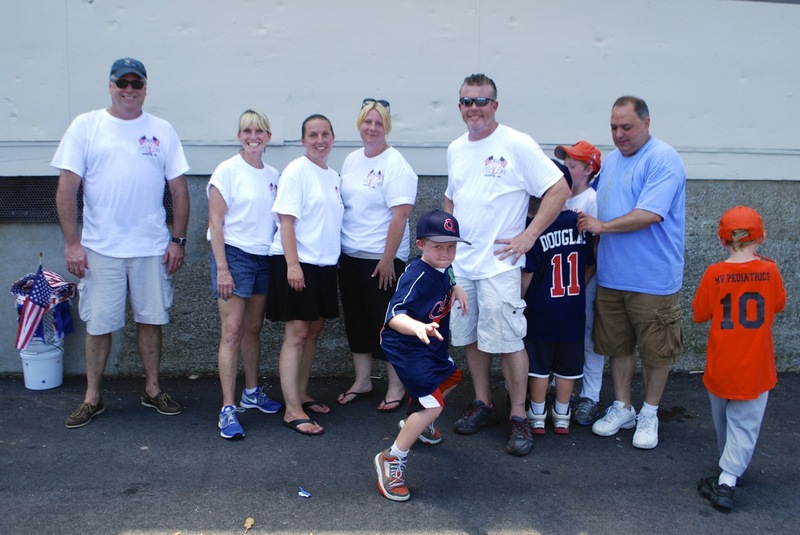 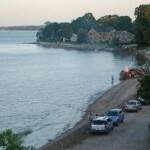 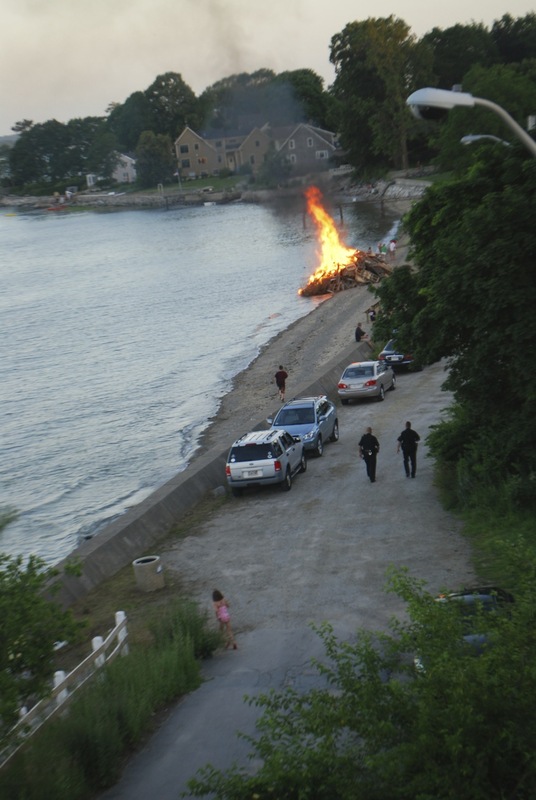 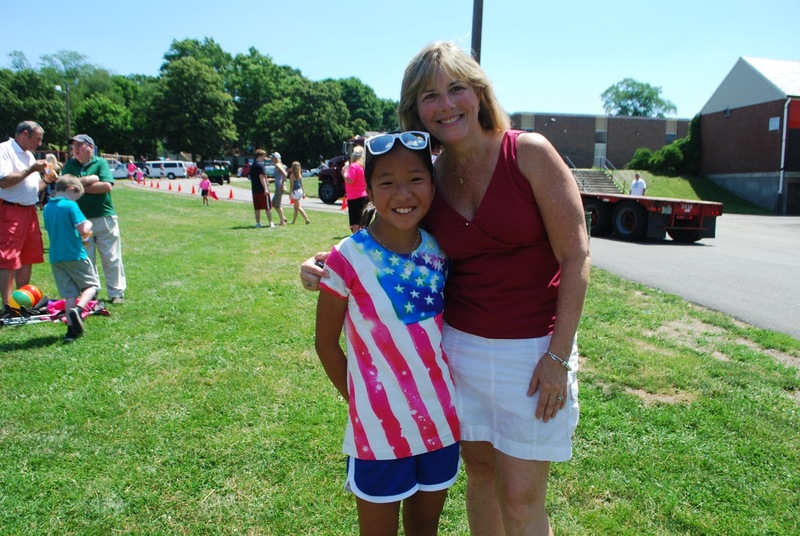 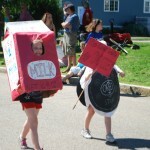 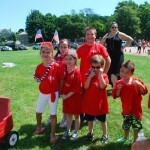 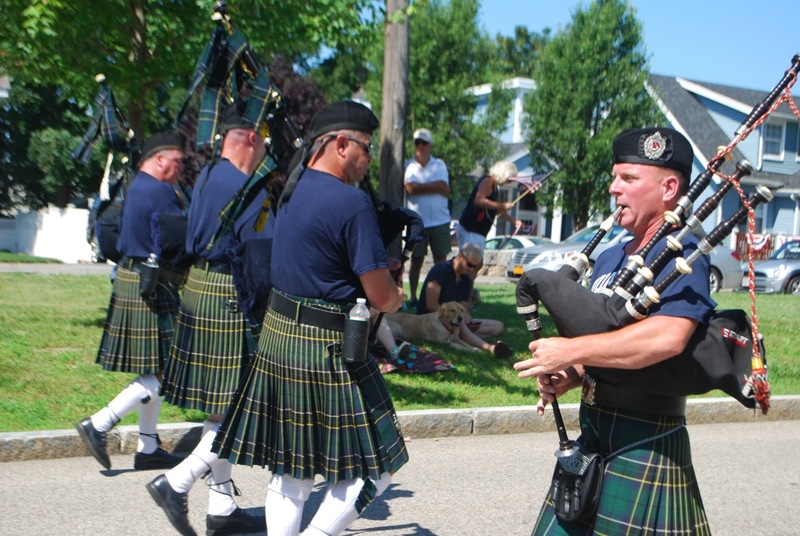 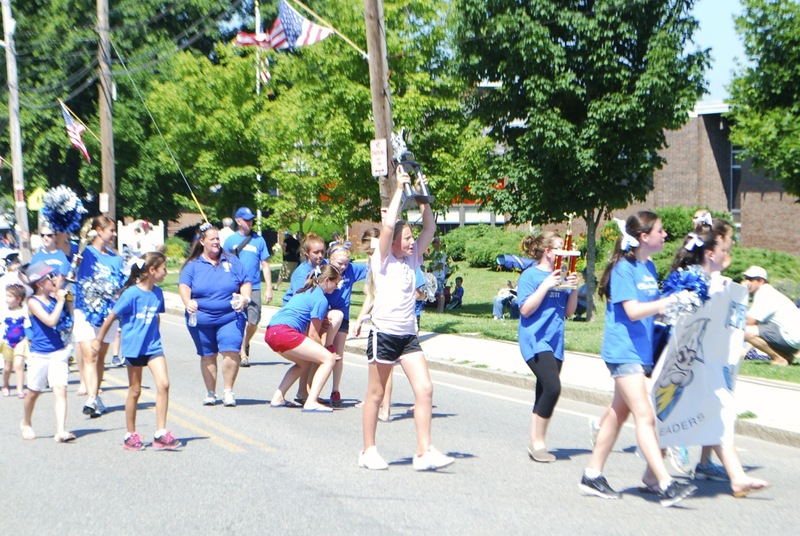 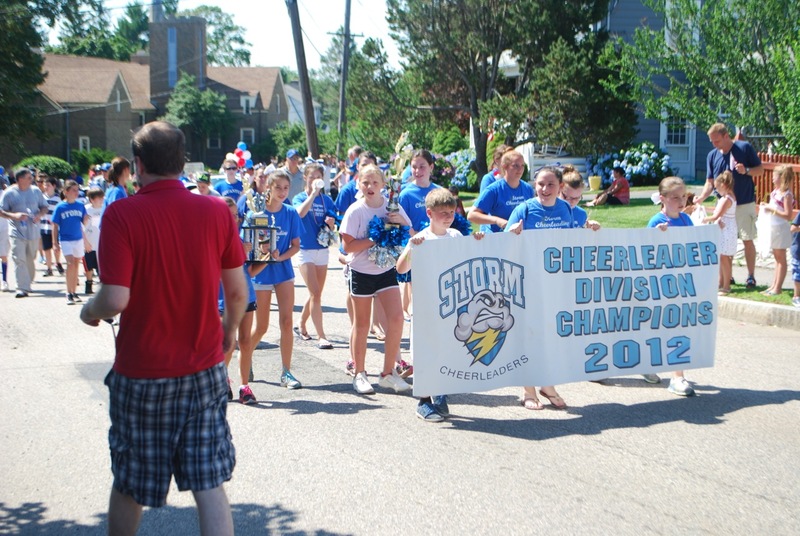 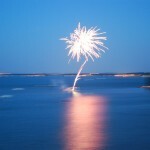 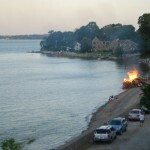 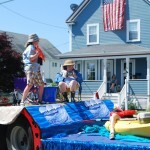 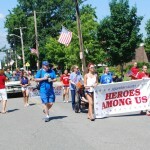 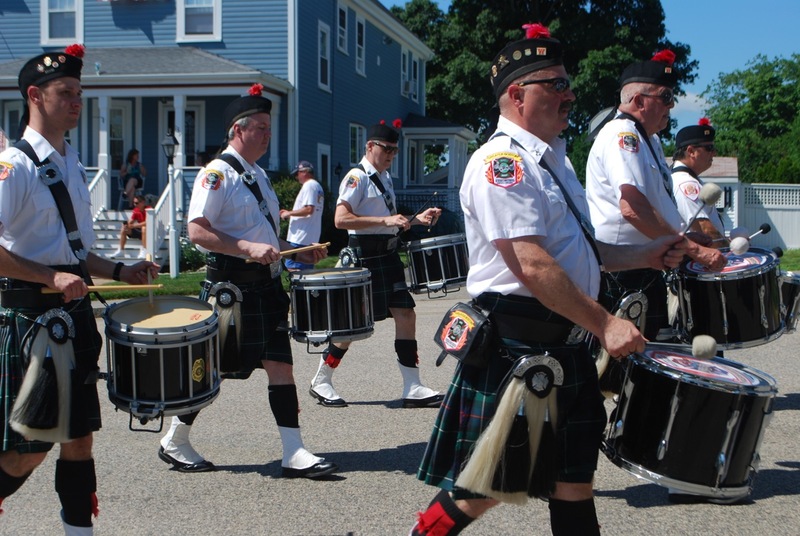 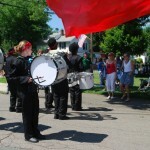 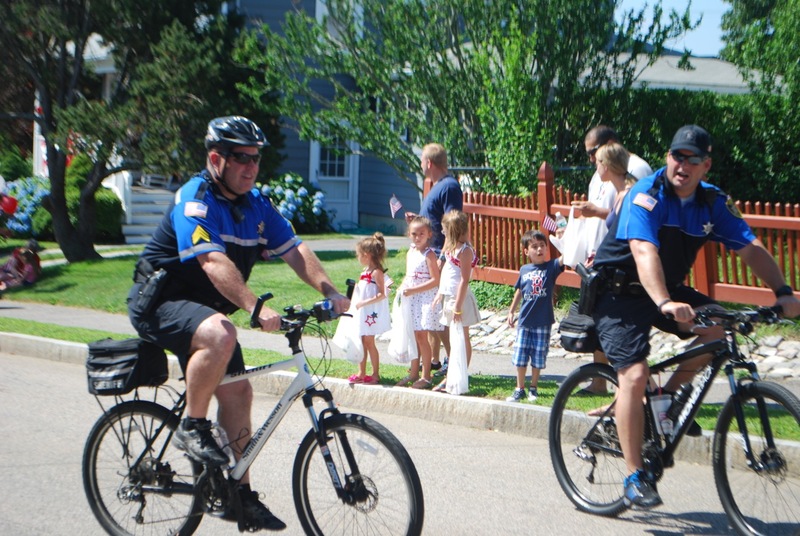 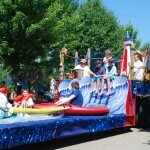 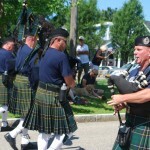 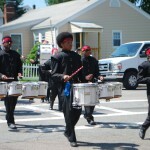 In 2013 Squantum celebrated the 104th marching of the Annual July 4th Parade, complete with floats, marching bands, costumed little Squantumites, and honors to heroes and teams! 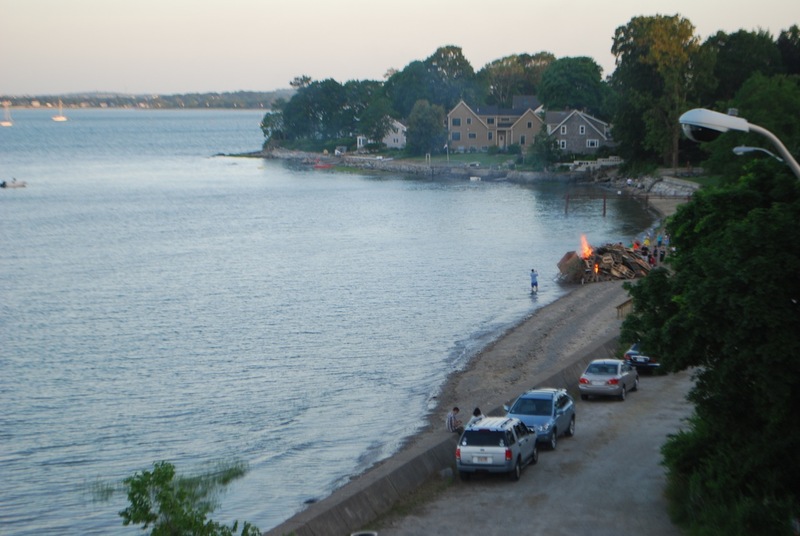 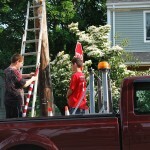 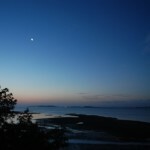 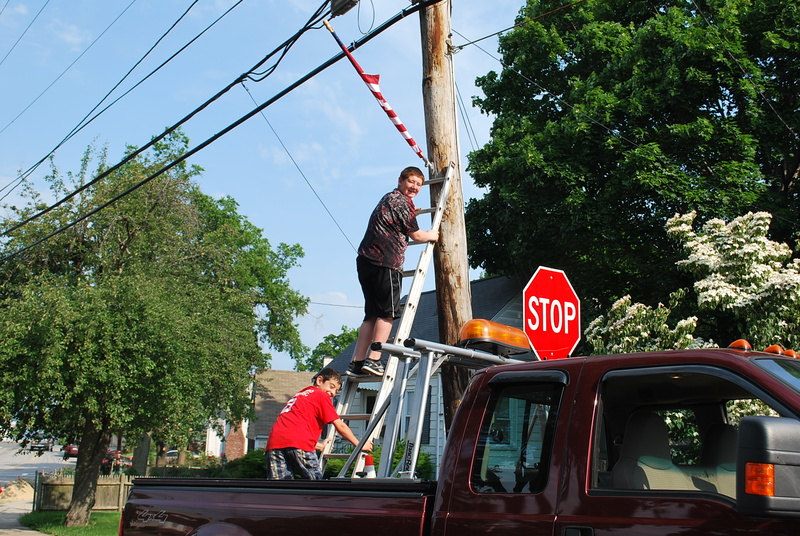 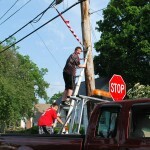 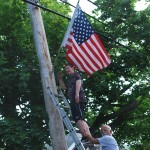 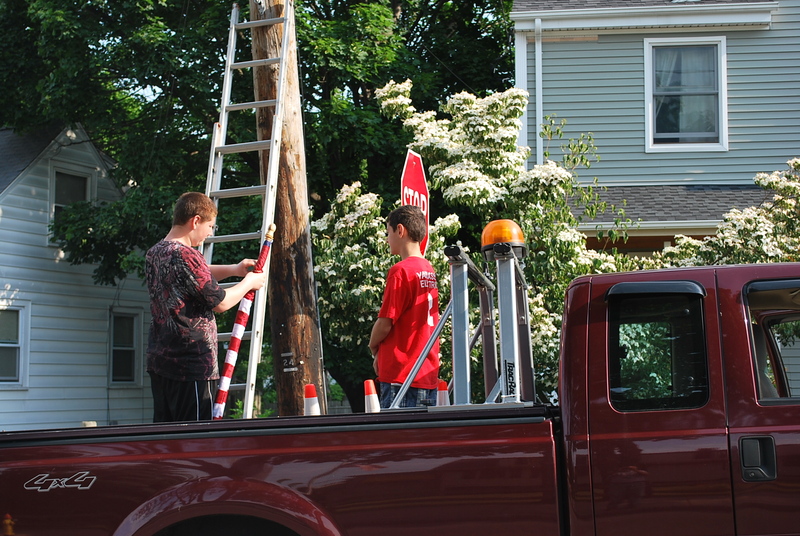 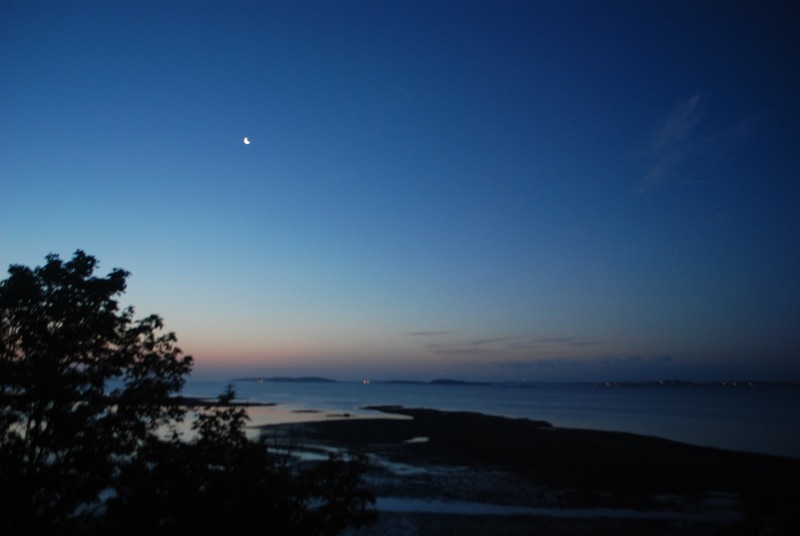 Moon over Orchard Beach July 4 early a.m.
Drew and Chase Cahill show their Squantum 4th of July spirit and pride hanging American flags on 26 telephone poles along the parade route with grandfather Jim Stamos. 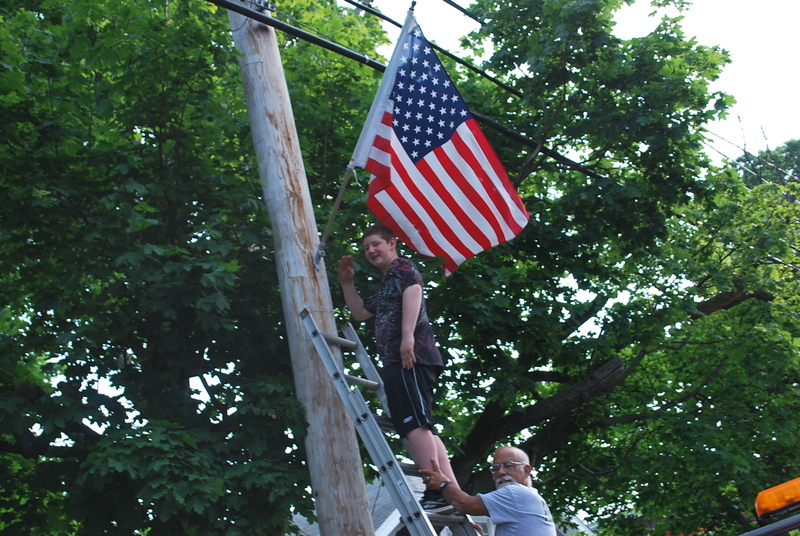 Drew and Chase Cahill hang flags along the parade route with grandfather Jim Stamos. 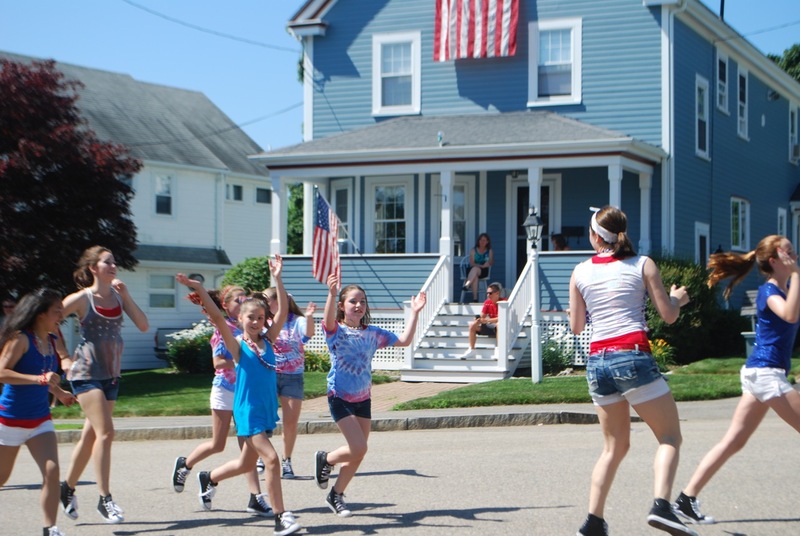 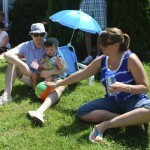 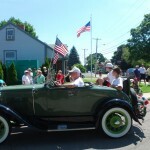 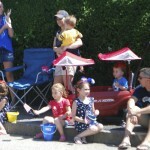 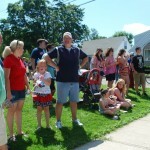 Jim Stamos with grandchildren Drew and Chase Cahill in an annual tradition in the Stamos home – hanging flags along the parade route. 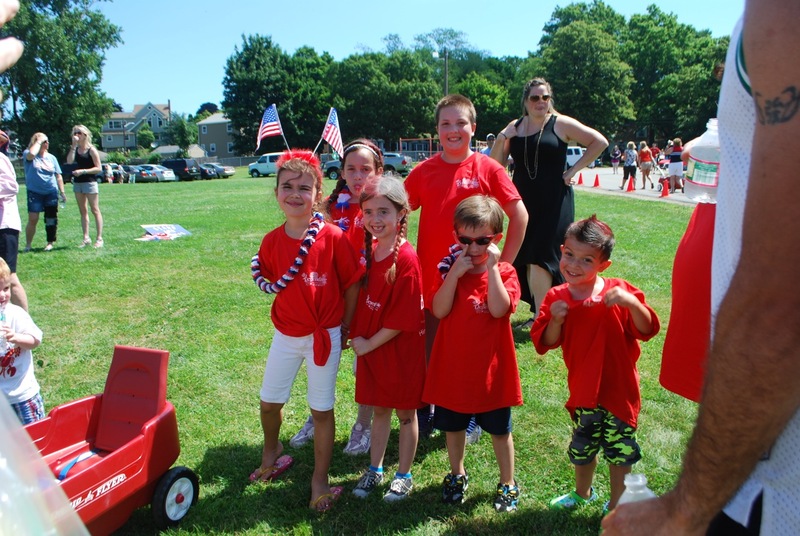 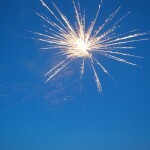 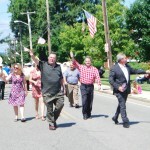 Thank you to the Parade Committee for another great year! 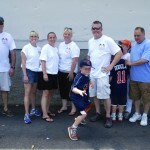 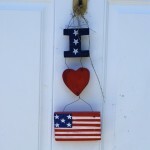 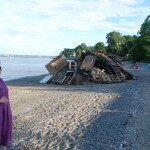 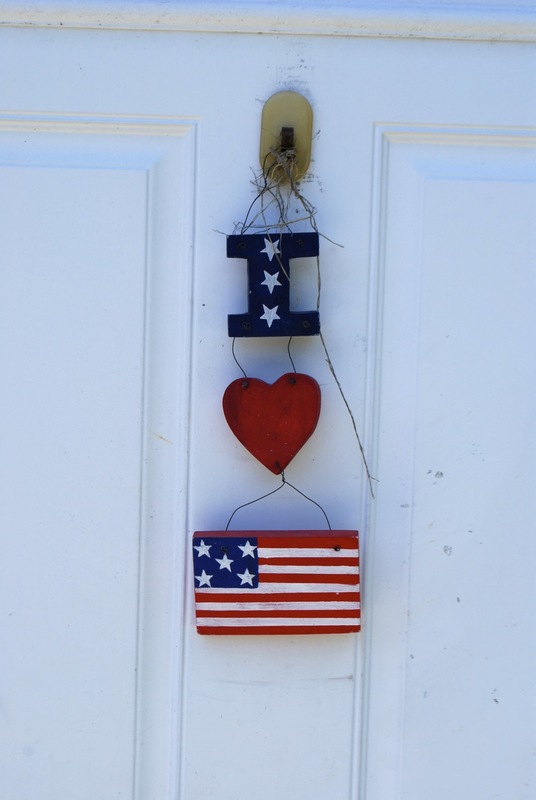 Thank you also Stamos and Cahill families. 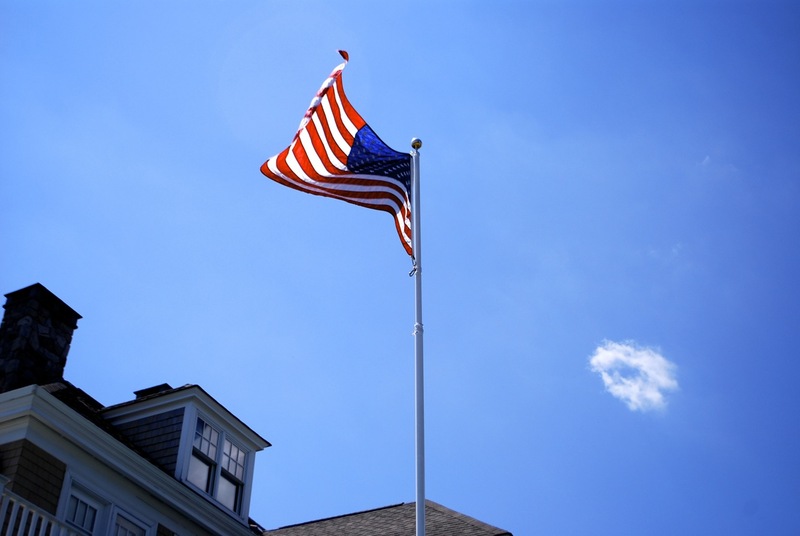 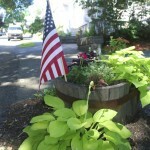 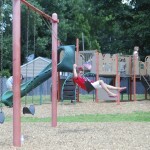 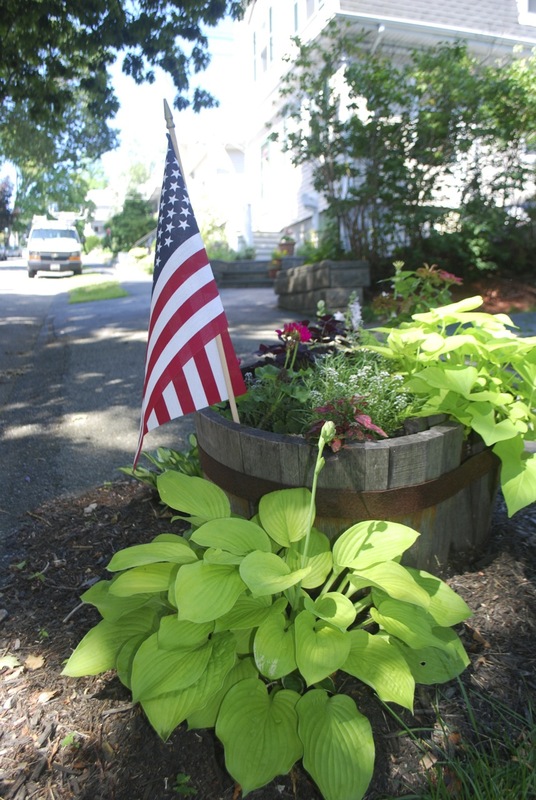 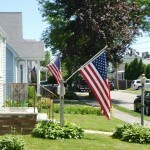 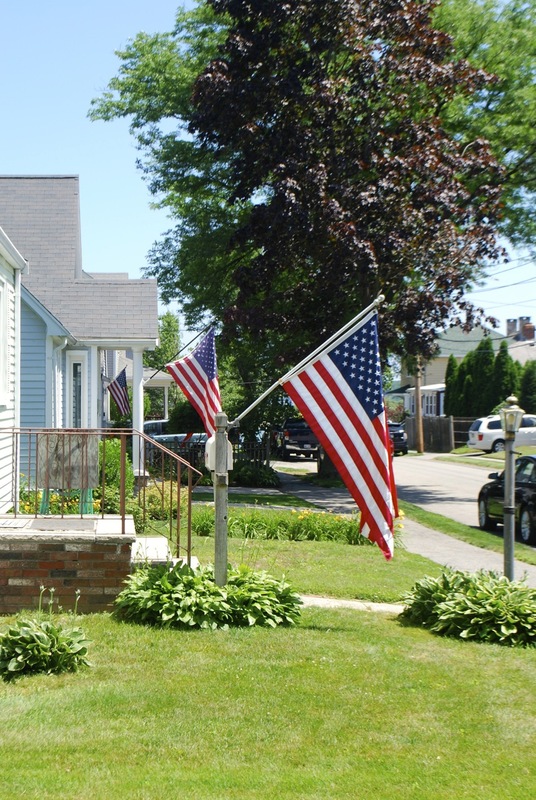 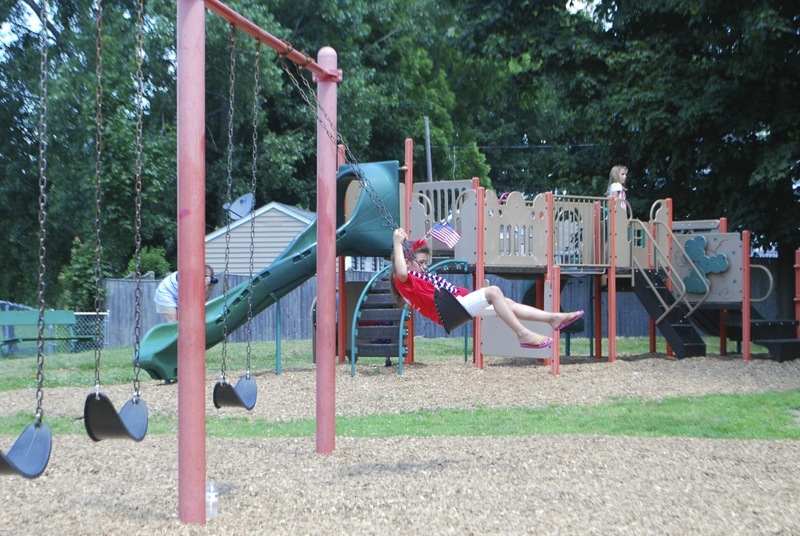 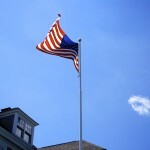 The flags are such a beautiful addition to the neighborhood!